At the end of this month (December 2016) I will mark 10 years since I left home, Eritrea. Helen will have few more months to go after me to complete 10 years. We lived most of that period as refugees. Being a refugee had been very uncomfortable for us until early this year. What is wrong with being a refugee? Did Jesus’ not live as a “refugee” in Egypt? Well, being a refugee as we had experienced it as a family in the past is being vulnerable. Think of someone refusing to sit at a table where you are, for a meal because of you being a refugee. How would you feel? Think of someone avoiding the seat next to yours in a bus. Think of a policeman threatening to destroy your documents and arrest you if you don’t give him the money he demands. Etc…. All these: just because you are a refugee. Won’t you want to get out of such a situation? Well, I wanted. Helen wanted. My daughters wanted too. We all prayed to be out of that situation. We asked friends and family members to pray for us in this regard, and God answered the prayers at the right time. Wait a minute, here, I want to make it clear that by mentioning these challenges I don’t mean to undermine the positive sides of being a refugee – at least for me. The first thing, it made us put our trust in God firmly. Secondly, we had some freedoms that we enjoyed, including freedom of worship that we didn’t have at home. At home even carrying a bible in public was a risky venture, whether you read it or not – forget about sharing from it. Therefore I am so grateful to my former host country. Despite the challenges, here and there, as I had began to mention above, it gave me some freedoms that I never enjoyed while at home. Believing that it would reduce our vulnerability and challenges, one of my dear friends offered to sponsor us to come to Canada. As a result we came to Canada towards the end of February 2016. Let me share some of my experience in Canada from the last ten months. Despite the exhaustion from the long flights the girls kept asking, “Dad, can we play in the snow? We want to make snow man, and snow balls…” Ironically the snow was not that exciting for their Mom and Dad. So they had to wait about 2 weeks for their Mom and Dad to let them play in and with snow. They loved it, and later we loved it too! It is beautiful! Few weeks after our arrival to Canada Winter was gone, spring took over. And we kept adjusting. We are still adjusting…. Summer came and it brought a lot of fun for all of us. Going to the nearby park was the girls’ favorite thing. It was lovable for Helen and me to see our girls play freely after all the years we lived in fear and vulnerability as refugees. It was also a unique experience to move around without any fear after all these years. Fall came. I had thought it is called “fall” because the leaves begin to fall from the trees. But then one morning found lots of snow falling. Hmm, is my understanding of fall getting modified? It is fall, and even snow is falling. May be in fall anything may fall. I should be careful not to let my body slip and fall! 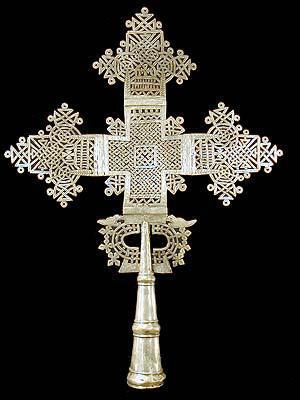 On Sundays, in the morning, we worship in an English service then late in the afternoon we go for Tigrigna (Eritrean) service. Both services are different from the ones we were used to in the past. Yet we love them. In the English Services church we have a great privilege to learn from the pastor’s wonderful and deep sermons. 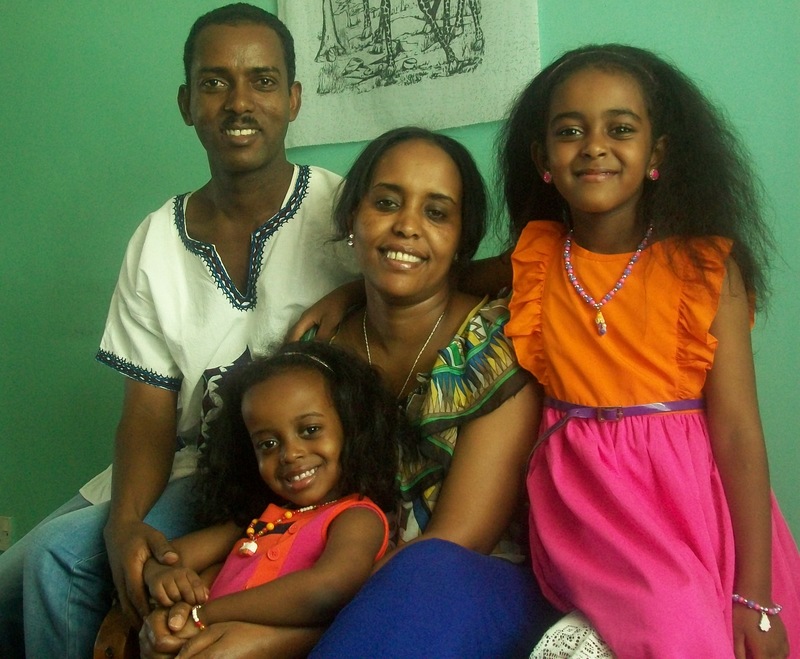 In the Eritrean Church we have the privilege to still have the taste of “home”. Have the opportunity to know almost everybody in the church. (Well this is a tiny church. That makes it easy to know every body). There, I also get opportunities to preach from time to time, and once I had the opportunity to do a training on Biblical Orality – Simply The Story approach. It ran for 5 Sundays and 2 Saturdays. We had about 25 attendants. I joined the Kairos Course Facilitators team in Edmonton. I had written about Kairos Course in my past blog updates. So far I participated in conducting one Kairos Course few months ago. If my memory serves me well, 19 people attended. There is one scheduled for February next year. Edmonton has lovely people from all over the world! Among them are people with Chinese descent. There is a Chinese church from which I met few people that I have loved SO MUCH. Through them I got some materials that kept me busy studying for some months. And through one of them I am getting to know some gardeners in Edmonton. God has provided me a job in a way that I had never imagined. I do site management at certain residential apartments complex. There I interact with people of different origins and nationalities. Canadians, Americans, Caribbeans, South Americans, Africans, Asians, people from the Middle East, and Europeans. Different cultures to appreciate! I use the bus and train services to go to work. I use the time in the bus and train to read. Before coming to Canada I was wondering if I would be able to have opportunity to do some gardening there. Well I believe I am going to have some lovable handling of the Canadian soil from the next spring. Already have contacts for that reason, and attended a half day session on compost making. Had the opportunity to travel to Ottawa and speak during Eritrean Pastors meeting. Great initiatives taken by the Eritrean pastors to work together to reach out the Eritrean Diaspora in Canada and beyond. The message I delivered was from Nehemiah 3. Helen and the girls are going to school. The girls love the school. It follows a different system than the one they were used to in Kenya, but they like it. Helen is doing some English course. She has done very well in the past few months. She will continue for the next 2 terms. We are learning new cultural practices. There is a lot to learn. Some of the practices we come across them as a surprise, some we read. Let me give you 2 examples from the many cultural practices we are struggling to learn. 1- When you speak to someone or someone is speaking to you, look at the person’s eyes. In our culture doing so would mean disrespect and threatening. Not so here, in fact almost the opposite. 2- When in a queue don’t cross arms on chest, it has negative meaning. In our culture, it would mean showing respect to those in the queue. Well the aspect of cultural shock is unavoidable, but it is lovable when you reach to the level of reasoning out and accepting the cultural practice (not necessarily to practice it though). We have now seen four seasons in Canada – for 10 good months – awarded with freedom and dignity. We can’t be grateful enough to God and the government and people of Canada. As a child Jesus went to Egypt for safety reasons. Different culture, different religion. Helen and I never meant to leave home at the time we left it. But God had his own agenda in our lives. When I first went to Sudan first I never meant to go beyond it. I thought that would be a safe place where I could live and serve God. We are now here very far not only from home, but also from Soudan (South Sudan and Sudan), the lands and people we dearly love. We keep following the situation in South Sudan through the media, and from our contacts. There is a lot of need for prayer. We believe God can change everything for good. Please join us in prayer for this beloved country of South Sudan. In addition we would appreciate your prayers for our continued adjustment, and wise use of our time here as well as opportunities for ministry while here. Many of our friends had been praying for our coming to Canada, because they know the situation in which we were. Likewise many had been praying and are still praying for our adjustment in Canada. We strongly acknowledge the role of of our friends and ministry colleagues in our lives. We are so grateful for this. We love you and pray for you! Recently I was in a town bus going to visit a friend on the other side of Nairobi. 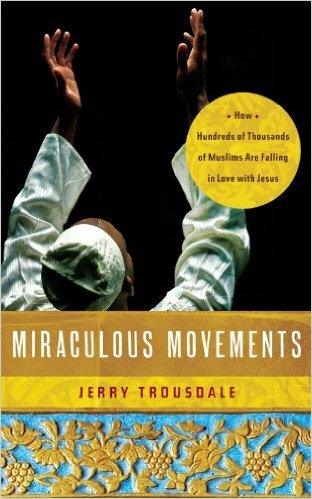 I was reading “Miraculous Movements” by Jerry Trousdale, which was sent to me by my friend Bonnie Anderson. Next to me there was a Kenyan lady sitting. She would look to the book I was reading and then to me. She did this several times. After a while she asked me if she could have a look at the book for a minute. I agreed and handed her the book. She read and looked through the front cover and then took more time on the back cover. Then she began to look at me. “Are you a Christian?” She asked me while gazing at me. “But you look like a Moslem.” She continued. It was not my first time to meet people in Kenya who think I am a Moslem. My features resemble the features of the dominantly Moslem communities in Kenya. As a result many think of me as a Moslem until they know me. On several occasions when I introduce my self as “Adhanom”, people would say, “Al Hanom?” because they already had the impression that I am a Moslem and hence the “Al” prefix, which is common with Arabic and Islamic names. I wanted to know what this lady thought. “You just look like a Moslem.” She repeated without further explanation, gazing at me. She didn’t use words to tell me the reason. But it was kind of obvious to me. In the past others had told me the reason, and I know it. It was because of my features and hair. Suddenly she said, “Welcome to Christ!” and handed me the book back. She stood up and looking to the conductor of the bus said, “Shukisha” in Kiswahili requesting the bus to stop for her to alight. She alighted. The bus continued with others and me but her words “Welcome to Christ!” continued with me. 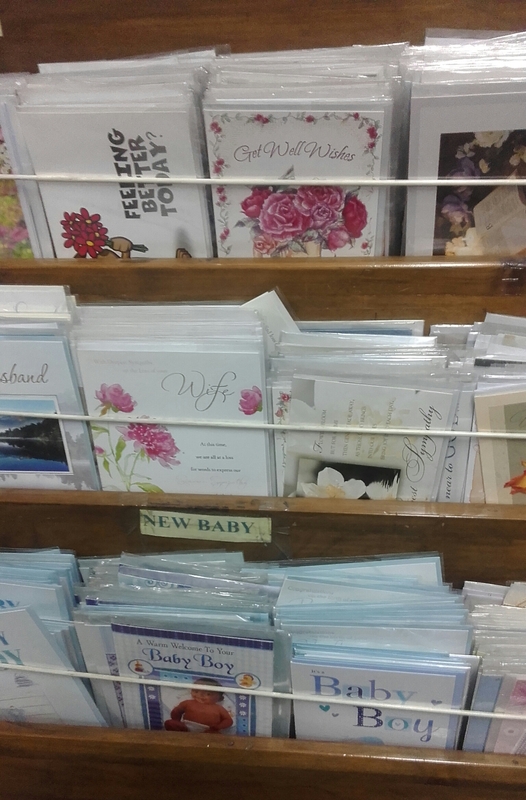 On my way back I decided to check in the Christian bookshops I frequent to see if I can find a card with something like, “Welcome to Christ!” written on it. I checked in three Christian bookshops. I didn’t find one. The lady welcomed me to Christ assuming that I once was a Moslem. Interestingly I don’t remember anyone ever saying to me, “Welcome to Christ!” To my best memory this lady, that I even could not recognize if I see her again and whose name I didn’t know, seems to be the first person to direct those words to me. When I came home I asked Helen, my wife, if someone had ever said to her “Welcome to Christ.” Her memory was similar to mine. Then I told her the story I narrated above. When we came to Christ, even though Helen and I don’t remember anyone saying to us “Welcome to Christ” what many did to help us to be Christ’s followers was more than words. And we are grateful for all the Christians who have been part of our life in any way. One of the famous stories in the Bible in relation to the birth of Christ is that of “The visit of the Magi.” You can read it from Matthew 2:1-12. After seeing the sign of the birth of the king of the Jews in the east the Magi came to Jerusalem looking for the king – to worship him. They were seekers. 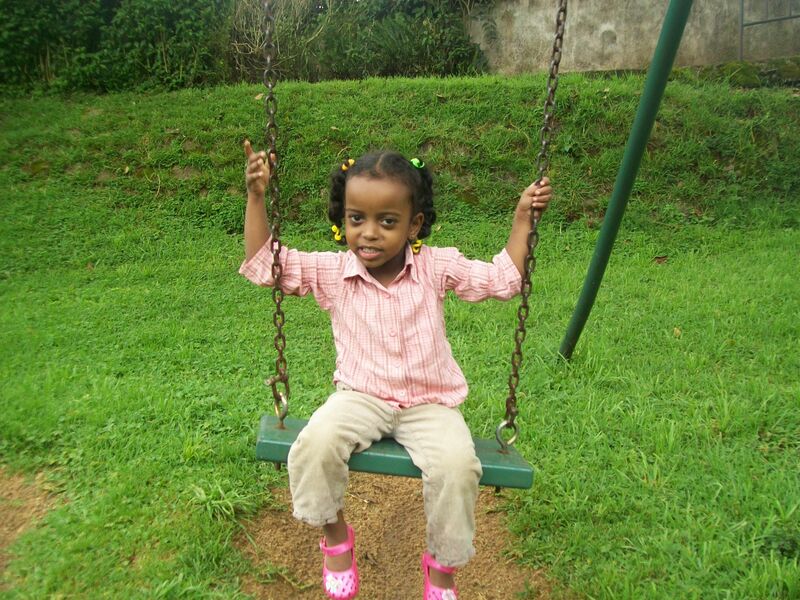 As strangers, they lacked the details on the whereabouts of the child. They sought for help in Jerusalem. They needed someone to welcome them and tell them where he was. The Magi while still seekers were overjoyed when they saw some progress in their seeking. And of course coming to Christ was a source of joy to them. When someone is seeking to come to Christ even the minor discoveries that lead him or her to Christ can be a great source of joy. Someone’s coming to Christ is a source of joy for that person, for the others who have come to Christ before that person, for the angels of God, and the triune God. When a person comes to Christ the joy of that person is inevitable. The joy of God’s angels and God in heaven is also inevitable (Luke 15:10). What about the people who are with Christ, the followers of Christ? Do they rejoice? Welcoming is an attitude that can be developed. And there are several factors that can affect its development, as would the development of any attitude. God wants his followers to be welcoming (Romans 12:13). Every Christian has the ingredients for developing a welcoming attitude. But it takes willingness and intentionality to develop it using the God given ingredients. The Magi had an incentive that made them to seek the Messiah. The star that they saw in the east was that incentive. It raised their interest. Then they set themselves to seek the Messiah – the born king! Christians, as God’s coworkers, can raise the interest of people to seek Christ, and when people become seekers, Christians can show a welcoming attitude towards them and that can help the seekers to be further motivated to completely come and find Christ. Still after that Christians can maintain a welcoming attitude towards those who are new to Christ and that would help new Christians to be strong disciples of Christ. Working to expand the Kingdom of God by making Christ known is the work of EVERY Christian. So as we celebrate the birth of Christ what can we do to help people come to Christ, and then help them to stay with Him? Let us prayerfully seek God’s lead in this aspect and decide to act according to His lead on what we can do to help raise people’s interest in Christ, and help seekers to find and remain with Christ. These people can be neighbours, relatives, colleagues at work or school, etc. So, can we do something to raise the interest of someone to Christ in this season? Can we do something to help the seekers we might know to come to Christ? Can we be welcoming people to Christ? “Welcome to Christ!” are sweet words. Words are important. These words can motivate. It would be great if we could use them. And beyond the words we can also practically show our welcoming attitude. Join us in trying to do something special this Christmas season by showing your welcoming attitude as Christians. Let’s also keep that welcoming attitude beyond the season. Well, “Welcome to Christ” dear reader and may God help you to have a welcoming attitude! Have a blessed Christmas and New Year! In my life some things change abruptly while others do so gradually. This is true even with my beliefs that influence my life style. 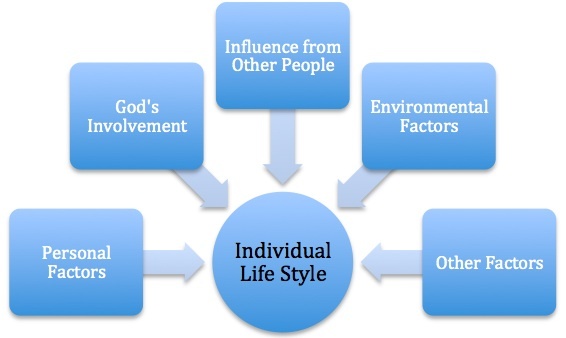 Several factors could contribute to this though, the main ones being my personal factors, God’s involvement, influence from other people and environment. In light of this let me share with you about my experience with farming. Being born to a farming family I loved enjoying the produce: corn, sorghum, millet, wheat, barley, beans, flax, potatoes, tomatoes, mustard, pumpkin, etc. I enjoyed all these as food, but I didn’t like the work it involved to get the produce. The only work I loved in the farm was to keep the birds off the crops by hurling tiny stones at them using a sling – it was fun! Well, I also loved tending our sheep. 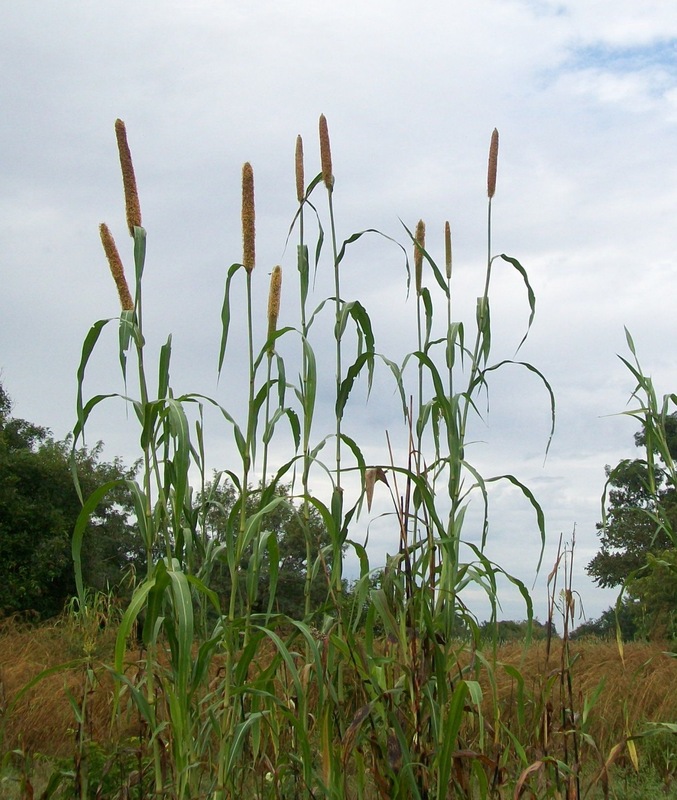 Pearl Millet, among stable foods during my childhood. I love it! In one of the languages that were spoken in our area the word “farmer” had, in towns, a connotation of uneducated, of lowly life style, uncivilised, and naïve person. In that language people would even use the word as an insult. So the perceived hard work and the stereotype attached to farming made me to hate it. With it I also hated village life! So on several occasions I had asked my dad to sell some of his cows, buy land in the town and build for us a house there and move in. He always said that he was not skilled for town life, but village life, and that if we go to live in the town we may go hungry and may not be able to get what we need for our life. But he told me that I am free to live anywhere I want once I finish my schooling. So as a young boy, I had dreamt of living in the town next to our village unaware how my life would unfold; also unaware of the factors that would determine my life style. 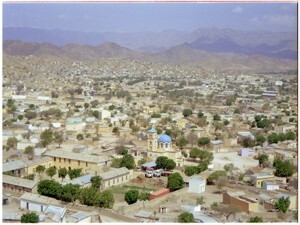 Keren – the town between mountains, where I wanted to live as a young boy. After finishing high school, I began to appreciate what my dad and the rest of our family had been doing throughout the years for a living. So, since then whenever I go to help with the farm work I did it happily. I also looked for opportunities to help in the farm or with the animals. But it was since the second half of 2004 that a complete change of attitude towards farming began to take root in my life. During that period while reading and studying my Tigrigna bible I came across the Book of Job. I had finished the book more than once before. But this time I began to learn a lesson that I never learned from it: Farming. 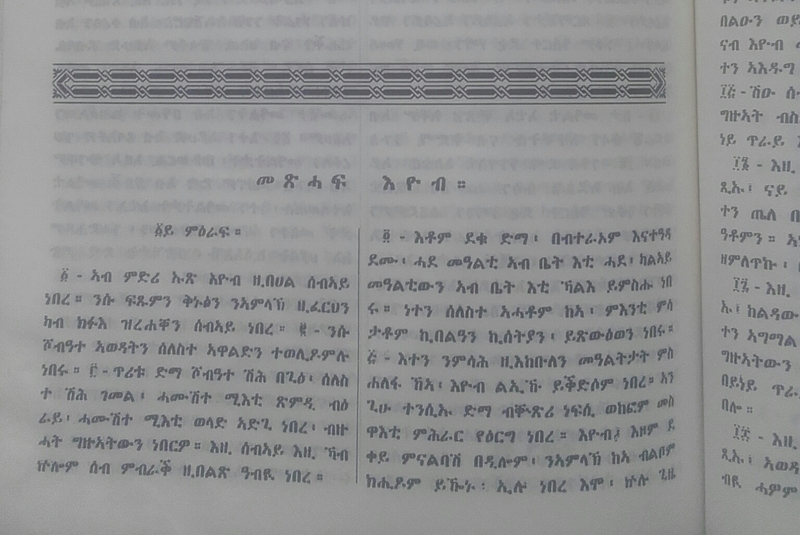 A section from the first chapter of the Book of Job in Tigrigna. “In the land of Uz there lived a man whose name was Job. This man was blameless and upright; he feared God and shunned evil. He had seven sons and three daughters, and he owned seven thousand sheep, three thousand camels, five hundred yoke of oxen and five hundred donkeys, and had a large number of servants. He was the greatest man among all the people of the East.” (Job 1:1-3, NIV) And according to God, there was no one on earth like him (Job 1:8). My eyes were opened to see the great farmer – Job – whom I never saw in my past readings of the book. These three verses of the book showed me that God’s people, as Job was, could be farmers – actually great farmers! I began to think of my dad and appreciated him more. Prior to that I had thought about Job’s blamelessness, his fear of God, and his shunning of evil. But I had never given a serious attention to his “farmerness” (if such a word could be permissible in English). I noticed that he excelled spiritually, as well as physically. He was one complete person. Seeing this, I began to sense that farming was set to grow roots in my life. Job’s story that starts with farming ends with farming. The mention of all the animals and servants in his farmerness story made me to think of it as a story full of milk, meat, land, cultivation, harvest, transporting produce, joy, stewardship, etc. Job’s farmerness story gave me a great lesson on farming. It showed me how farmerness was a noble life style. After all, it was instituted by God who wouldn’t institute anything less than noble. 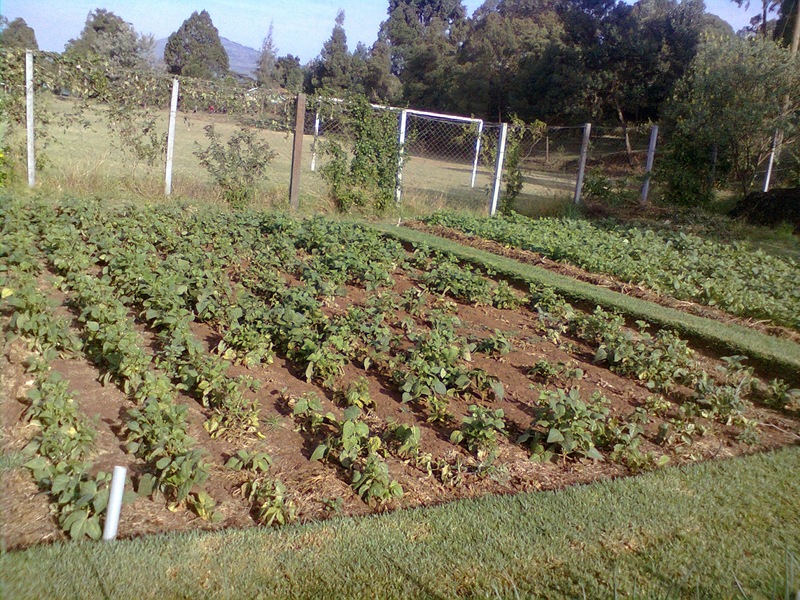 The next year I found myself not only helping my parents with farming whenever I went to visit them, but I also managed to mobilize my workmates to make a garden at our work place. We had plenty of space as well as plenty of water. First one colleague agreed to join me. Later on one by one all agreed to join. We planted tomatoes, spinach, lettuce, chilies, and onions. Farming began to win my heart, thanks to Job’s story. Mulching my newly transplanted lemongrass. When I stayed in Kenya I was only able to plant two trees, and care for one other planted by a different person. But this love of farming grew in me when I went to South Sudan. 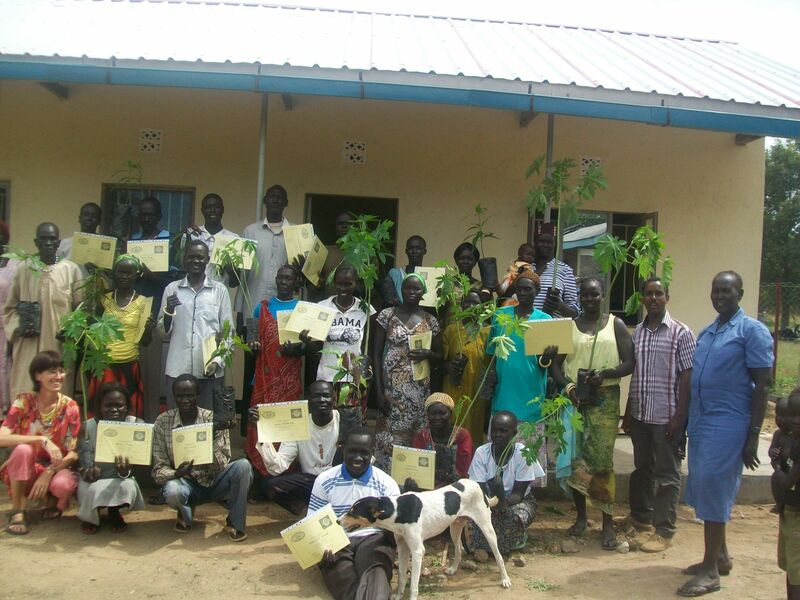 In the last four years in South Sudan I had the joy of experimenting with different types of plants (especially vegetables). 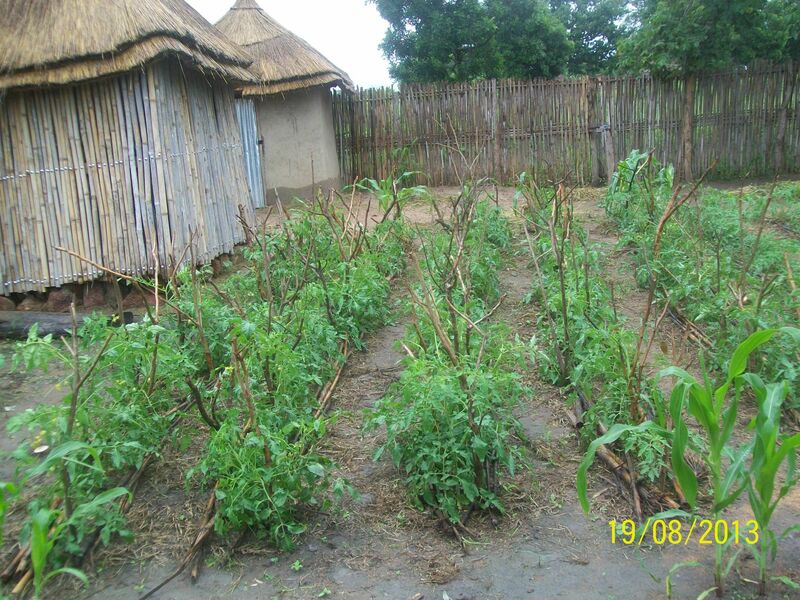 Many crops, vegetables, and fruit trees do very well in the area where I stay in South Sudan. Yet a big proportion of the population had been going hungry for years, and now the war has worsened the situation. My tomatoes when I was novice in farming. A wonderful truth was told to Adam and Eve before their fall. I would call that truth as “The gospel of farming”. This gospel required them to work the Garden of Eden and take care of it as well as keep God’s command (Genesis 2:15-17). God didn’t dissect farming from keeping his command. Farming was part and parcel of keeping God’s command. If Adam and Eve were to focus on farming alone they would fall short of God’s plan. Likewise if they were to focus on keeping God’s commands alone without farming, they would fall short of God’s plan as well. Some months ago while reading from James I came across 2:18 that stated, “He chose to give us birth through the word of truth, that we might be a kind of first fruits of all he created.” (NIV) I thought of Adam and Eve as the first fruits of all he created. And I thought of Christians as the first fruits of all he created as well as the verse states. If I can be related to Adam and Eve, then the gospel of farming is related to me. I need to do it (work the land and take care of it) or at least get work done on it. I don’t have to go and dig somewhere, but I definitely have to work and care for the land either directly or indirectly. I am embracing this gospel. And it makes me to think that no one should go hungry for “His divine power has given us everything we need for life and godliness through our knowledge of him who called us by his own glory and goodness.” 2 Peter 1:3 (NIV). Yet a need stands to tell the good news to the poor, to those who didn’t hear the message, and to those who have been deceived by the devil. 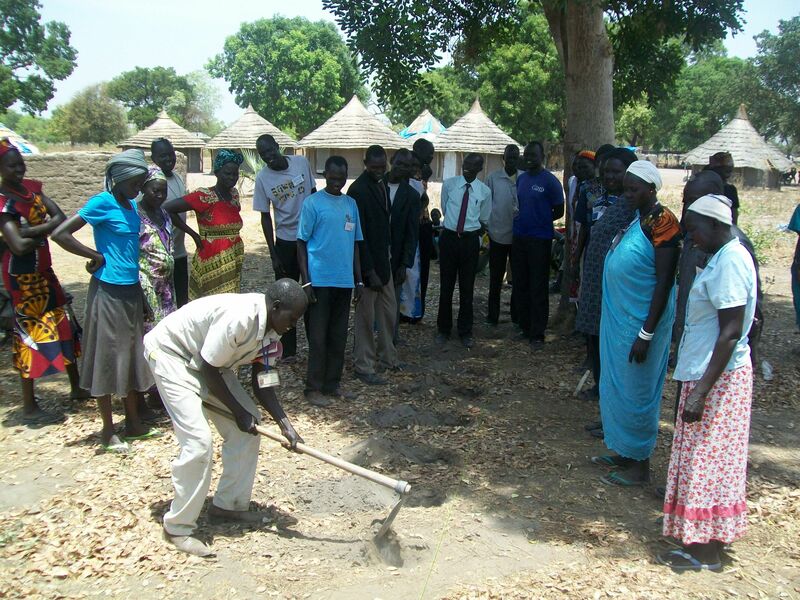 There are multitudes in South Sudan who don’t know that God has called them to work and care for the land. There are also multitudes that don’t know that God has indeed blessed their land. Through Farming God’s Way (FGW) trainings and other ways, in Mango Ministries, we had been teaching people how to grow food for themselves in a better way. Some of them have already picked these teachings and went ahead and tried to grow in FGW approach at a very small scale. With time, as they master the technique, they intend to increase the size of their gardens. 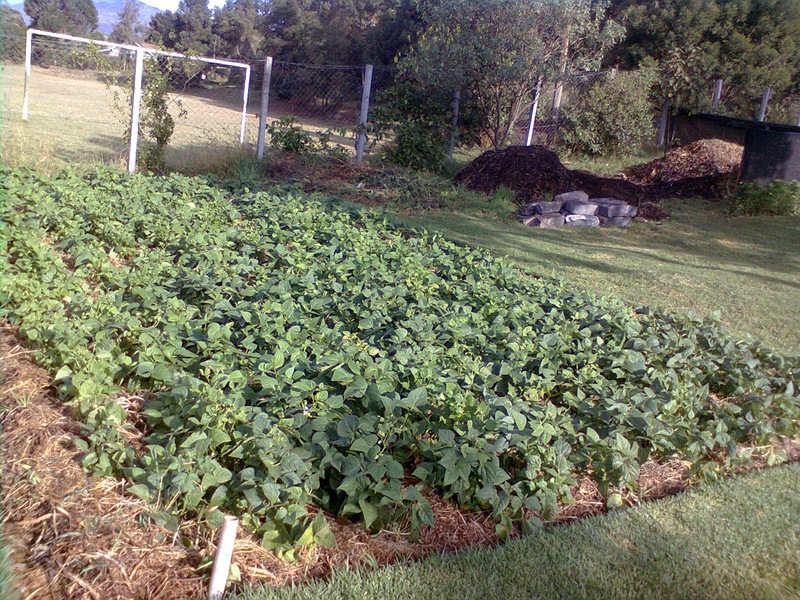 One of our trainees told me that he has planted kale in the FGW approach and his kales are now doing very well. 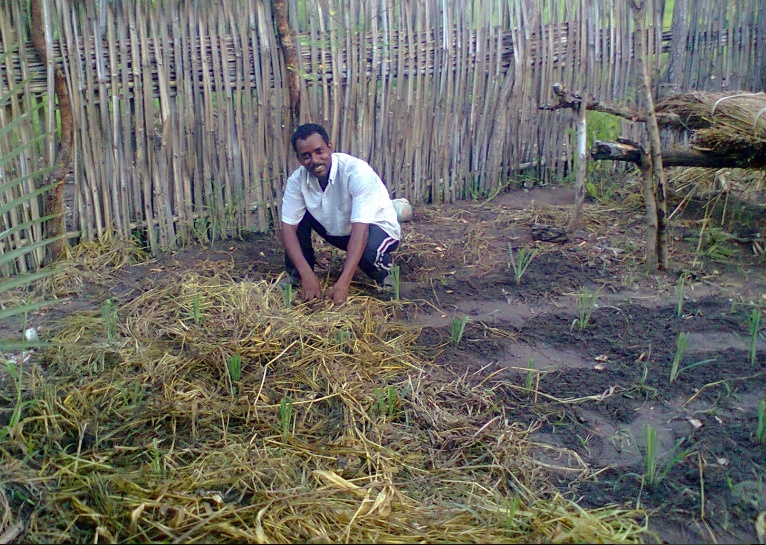 Another one has plated sorghum at a large scale for the first time in his life and he is expecting great harvest soon. Making compost, dirt is GOOD! 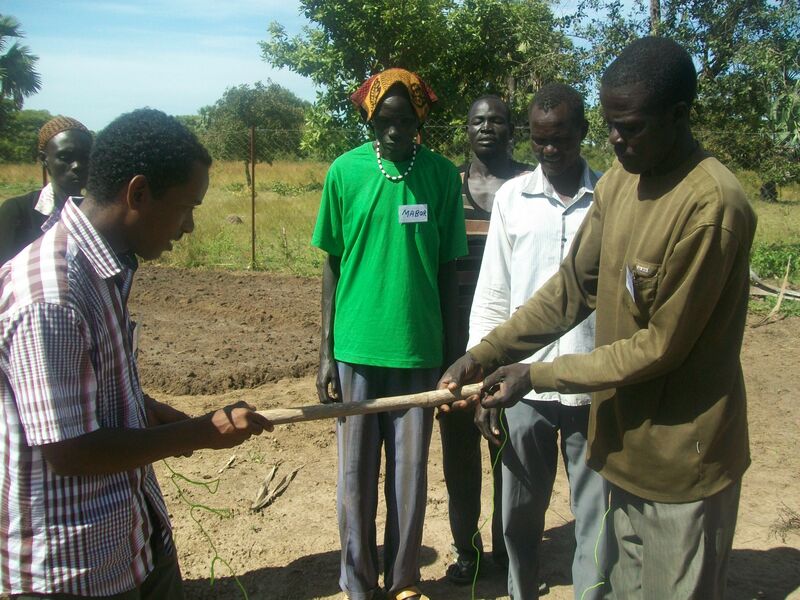 That the lessons these South Sudanese friends are learning would help them and their communities get out of poverty and hunger. That we at Mango Ministries would be able to continue teaching and mentoring them. 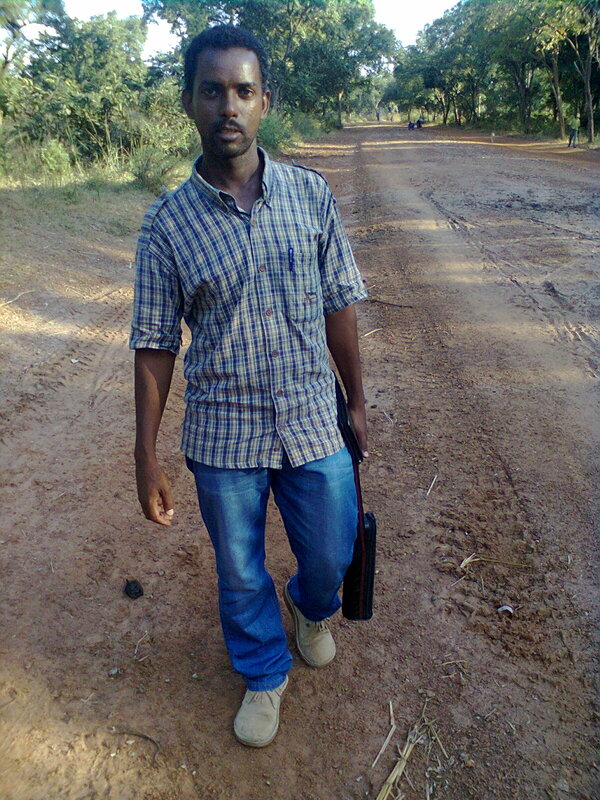 That in the future I would not only be trainer on farming but better farming practitioner. For peace so that people would be able to produce for them selves. It has been more than three and half years since I came to South Sudan. 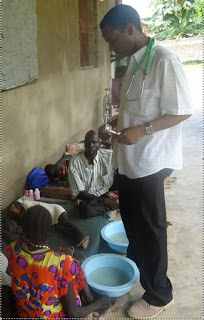 I spent my first two weeks (in September 2011) in Tonj, where In Deed and Truth Ministries (IDAT) runs a busy clinic serving the South Sudanese communities of Dinka, Bongo, Jur Chol (Luo) and Balanda. In those two weeks I ended up helping in this clinic. That was a challenge from God for me to identify with South Sudanese people starting from their very sufferings before commencing with the work for which I came. I have many interesting memories of those two weeks! Our Mango Ministries had been partnering with IDAT in different ministry areas. 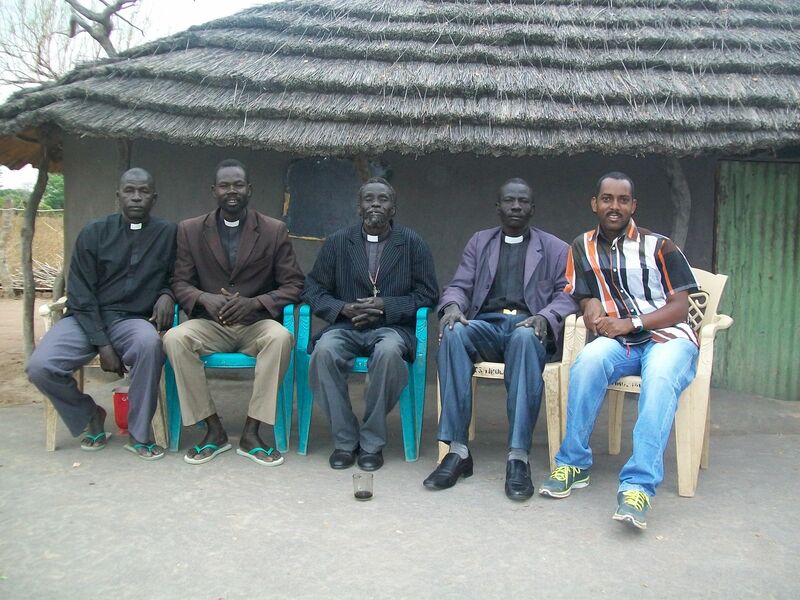 As a result, since those first 2 weeks, I have travelled between Tonj and Aduel several times and loved knowing the Kujs (Sabet and Suzy Kuj along with their three children), who are the leaders of IDAT, and their team members. I don’t only walk through waters. I also fly over waters like this one with Mission Aviation Fellowship. 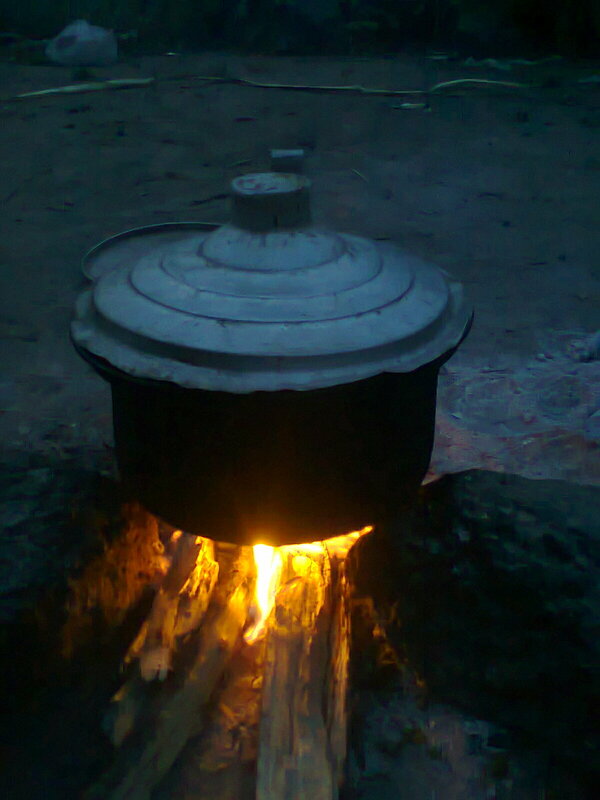 The challenges of South Sudanese in most parts of the country are numerous. One of these challenges is the scourge of ‘malaria’. Like many other sub-Saharan African countries, South Sudan is also not exempted from this scourge. In this update, therefore, I want to share based on one of my memories in relation to my experiences with malaria. Admitted under trees, most of them due to malaria. 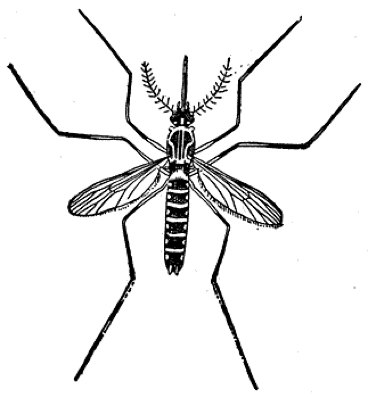 The notorious mosquito as presented in our CHE training lessons pictures. 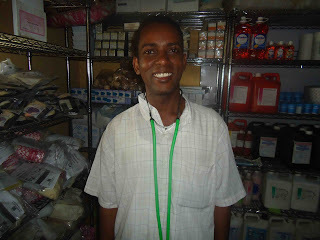 On 13 September 2011 while working in IDAT’s clinic a woman came with three of her relative’s young children. She told me that the mother of the children was in another health facility with a child who was admitted due to malaria and was still very sick. In their mother’s absence this relative noticed that the three children were also sick and getting worst. That is when she decided to bring them to IDAT clinic. When they came to IDAT clinic it was the local Community Health Workers (CHWs) working with IDAT who first attended to them. They took and recorded the vital signs. They also recorded the chief complaints. The body temperature records were very high for all the kids. All the three kids entered the OPD room where I was seeing patients after the one I had just seen left the room. As these three kids walked in I noticed how all of them looked very sick. I also looked to the very tall, dark woman who accompanied them. She looked fine. I was made aware that about one third of the patients who come to the clinic would have malaria. When I saw the temperature records of these kids I wanted to recheck myself. So I took the thermometer and began to check them one by one. As I began doing this my CHW translator smiled and said, “They have malaria.” The different thermometer I was using, just confirmed the other’s readings, showing that all three kids were having high fever. (The day before, I had seen four siblings who came with high fever due to malaria). “The thermometers must be crazy!” I said audibly. Yet there was nothing wrong with the thermometers. “The thermometers were just doing what they were made to do.” as Dr. Tom said, hearing me from his OPD room next to mine. “It should be the mosquitoes who are crazy.” But the mosquitoes are just using the opportunity to feed as they find unprotected skin. “So it should be the patients who are crazy?” Well, may be for adults but these kids didn’t even know why and how they should protect themselves. So how can I call them crazy for this matter? Then it should be the mother who must be crazy. She could be. But, who knows her reason? Who knows her knowledge? Who knows her means? So, who is crazy? Am I the one who is crazy? I could be, together with many others. Our craziness could be that like Cain we might have developed the “Am I my brother’s keeper?” mentality (Genesis 4:9, NIV). Poor children! I struggled hard to control my tears. I prescribed for them and through my CHW translator briefed the women who brought them of what we would be giving and doing to help the kids overcome their sicknesses. While talking to the woman I felt the need to talk to her about Jesus. I asked her if she is a Christian. She was not. She was a follower of Dinka Traditional Religion. She didn’t know Jesus. I briefly told her about Jesus. Then prayed for her and the kids. They left for the pharmacy and the temporary admission in the veranda until the kids’ fever was controlled. Checking with patients at IDAT clinic in September 2011. 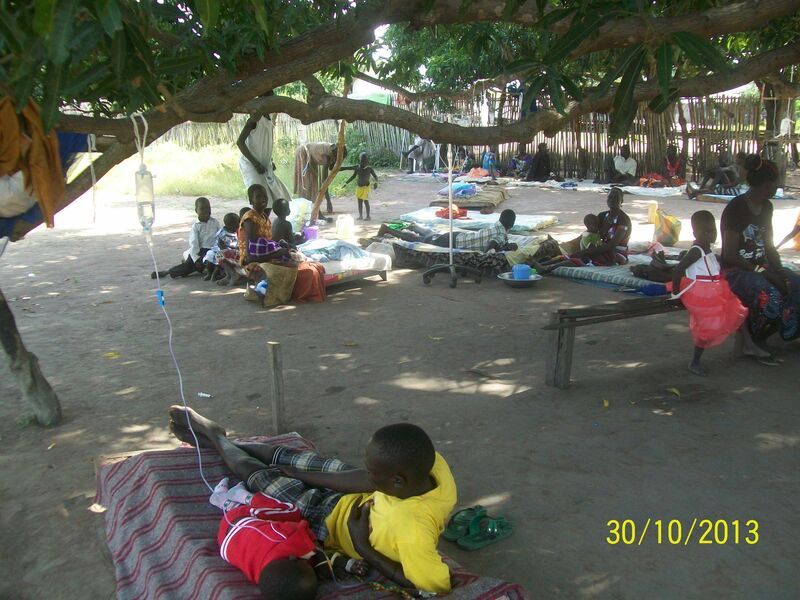 During those days most of the patients were seeking medical help due to malaria, and still malaria cases top any other cases in many South Sudanese health facilities, especially during the rainy season. It is also the leading cause of death. Many here people know neither the cause of malaria, nor its prevention. Others rely on non-effective traditional methods of preventing and treating it. 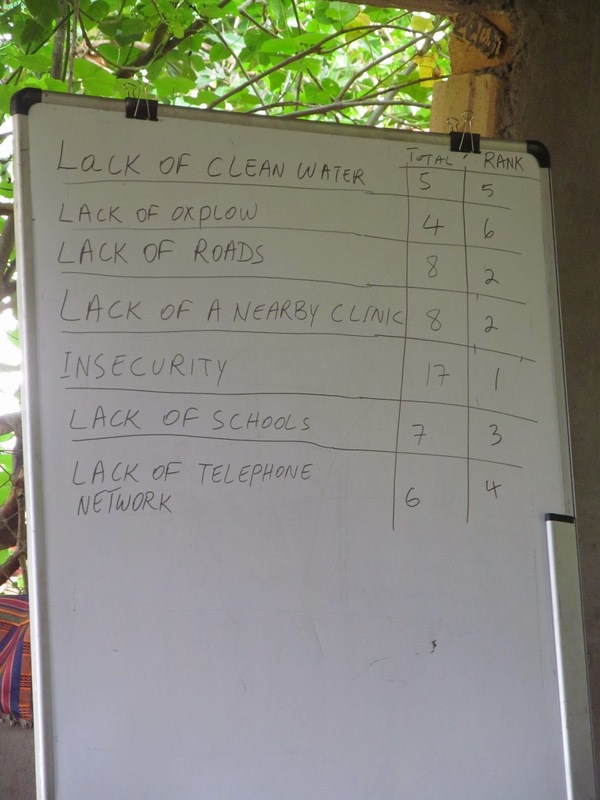 Others don’t have the access to health care due to several factors including distance from health facility and lack of money to go health facility or buy medicine. The reasons that make the people victims of malaria are various. Malaria has claimed so many lives in South Sudan. Recently I was talking with a friend of mine in Aduel about malaria. He told me that his mother gave birth to 12 children. Out of these 6 died before the age 5 years. One died at age 24 before being married. One got married and had three kids, but died while her kids are still young. Four, (including my friend), are still alive. One of the living four gave birth to 12 children. 11 of them died. 1 is alive. The second from the 4 also got married and had 4 children. 3 of them died and 1 is alive. The third also got married and gave birth to 4 children. 2 died and 2 are alive. My friend who is the fourth to the ones who are alive had 9 children. 1 died and 8 are alive. He says he is the luckiest one from his siblings since he is alive and most of his children are also alive. He told me that most of his siblings, nieces, and nephews died due to malaria. Such stories are not uncommon here. Malaria has claimed so many lives, and is still claiming many dear lives. A boy with malaria as presented in one of our CHE training lesson pictures. Obviously in all these shocking statistics, malaria contributes powerfully. The malaria front is one of the most challenging fronts in South Sudan. Malaria and many other diseases could not be overcome just by treating those who get infected and become sick. It is overwhelming and impossible. Much was and is still needed to reduce the number of people getting infected with malaria. CHE is one of the perfect responses to this. Beyond strengthening people spiritually in the Christian way, it addresses many physical issues as well. CHE is replete with health lessons including lessons on malaria. 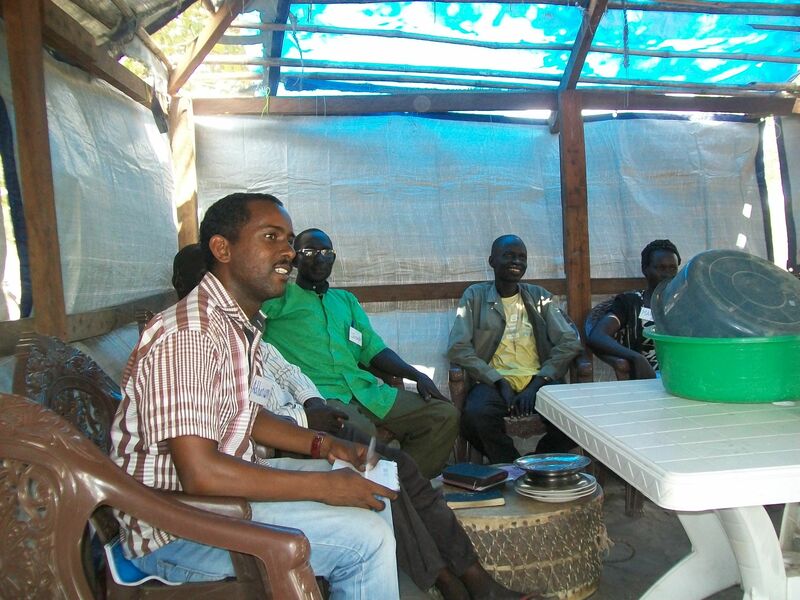 All the teams we trained on CHE in Tonj and ERC were taught about malaria (cause, symptoms and diagnosis, prevention methods – including using insecticide treated mosquito nets, complications, treatment). Some of them have already reported that since they began implementing CHE their families are becoming less sick with malaria. It would be so great if such testimonies would come from all the people who were trained in CHE and also from all the families in their communities. Who is crazy? Of course you don’t want to be the crazy one and remain quite as malaria scourges fellow human beings in South Sudan. Mosquitoes, though tiny, are causing huge damages to humanity on this part of the world. What can you do about this? “We can save millions of lives over the coming years by scaling up the malaria control tools that we have already available.” Margaret Chan, the Director-General of WHO. Pray that all the efforts exerted by government, UN bodies, NGOs, missionaries, churches, as well as individuals to control malaria in South Sudan would bear fruit and that people would be willing to adopt behavior to prevent malaria, seek early treatment and reduce number of mosquitoes. Pray for the people we trained in CHE to be able to prevent themselves and their families from mosquito bites and train their church members, neighbors and their community members in general to do the same as well. In this update I would like to share the major activities that I had being doing, through God’s grace, in the past six months (October 2014 – March 2015). 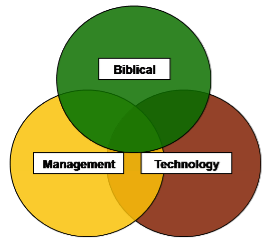 The biblical component of FGW that challenges farmers to follow God’s word in all aspects of their life, the above mentioned and other technical components as well as a simple but effective management system make FGW to be a proven tool to help the poor to make a sustainable profit in order to come out of poverty. FGW has a proven track record of success since 1984, when Brian Oldreive first pioneered these practices on Hinton estate in Zimbabwe on a large-scale commercial farm. 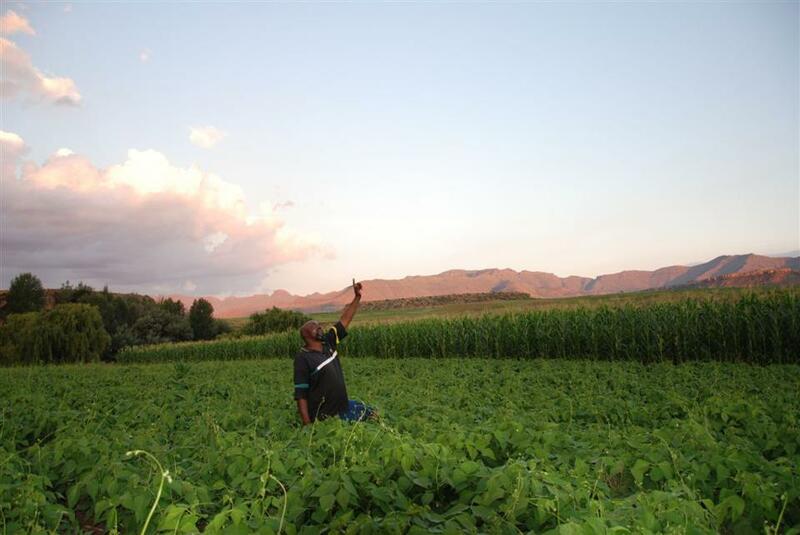 Since then, Farming God’s Way has spread into many countries, being used by churches, missionaries and NGO’s across the African continent. I was introduced to this farming approach two years ago, and had blogged about my early experience with it, through an update titled What a book can do…. From the very beginning I was so excited about this farming approach. Hence, I had been trying to learn it, practice it and also teach it to others. The FGW manual (downloadable from the FGW website) as well as the FGW training I attended at Care of Creation in Kijabe, Kenya on the same subject were wonderful; and the demonstration gardens there were so convincing as well, that I wanted to try similar in South Sudan – even before attending the training. 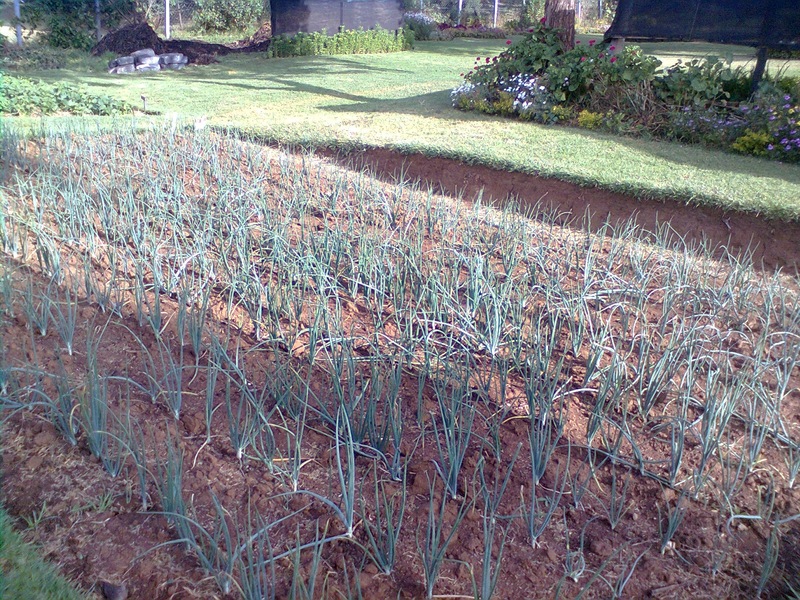 The demonstration gardens clearly show that FGW is better than the conventional approach of farming. 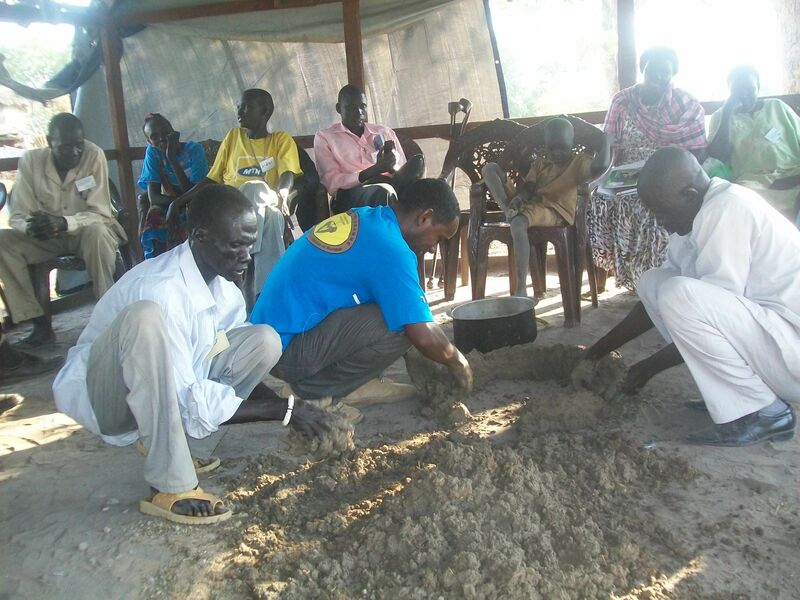 In South Sudan it is even difficult to talk about what can be called conventional farming. We better talk of traditional farming. In the past six months along with colleagues and friends we were able to conduct three FGW trainings. 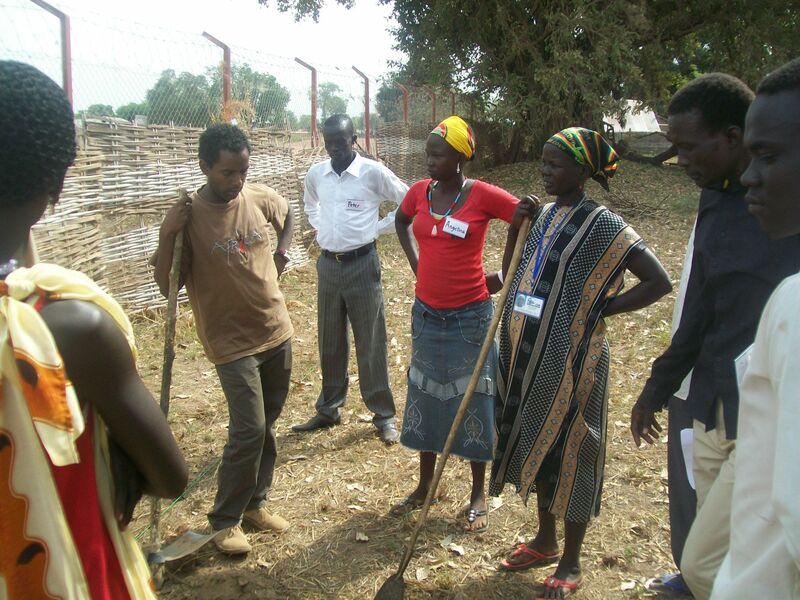 Andrea was one of our trainees from Tonj, South Sudan. 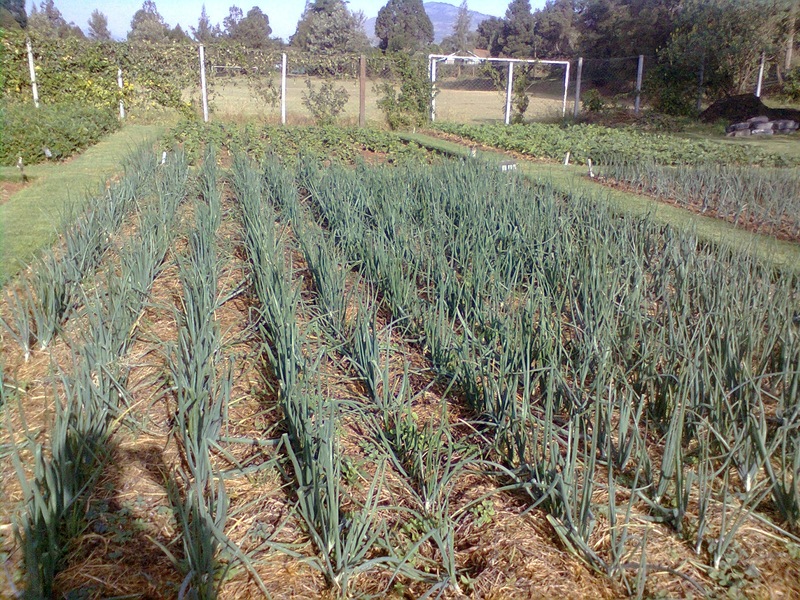 He made a comparison between FGW and traditional farming by putting a demonstration garden at the In Deed and Truth Ministries compound. He only used God’s blanket, but didn’t use any input and didn’t follow the recommended spacing of crops. But interestingly the plots, which had God’s blanket, were doing much better. One of the three trainings I mentioned was conducted in October 2014. 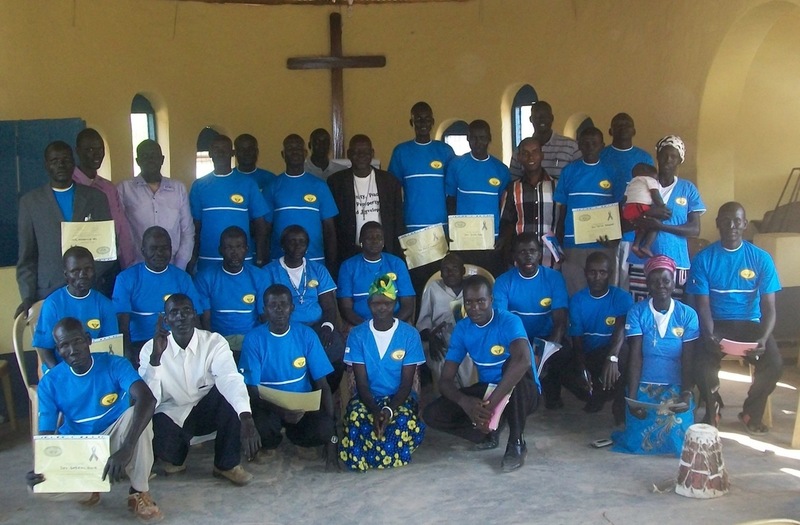 I did this training with my friend Nicola in Abinajok, where she runs a clinic for the Episcopal Church of South Sudan (ECSS) of the Diocese of Rumbek. 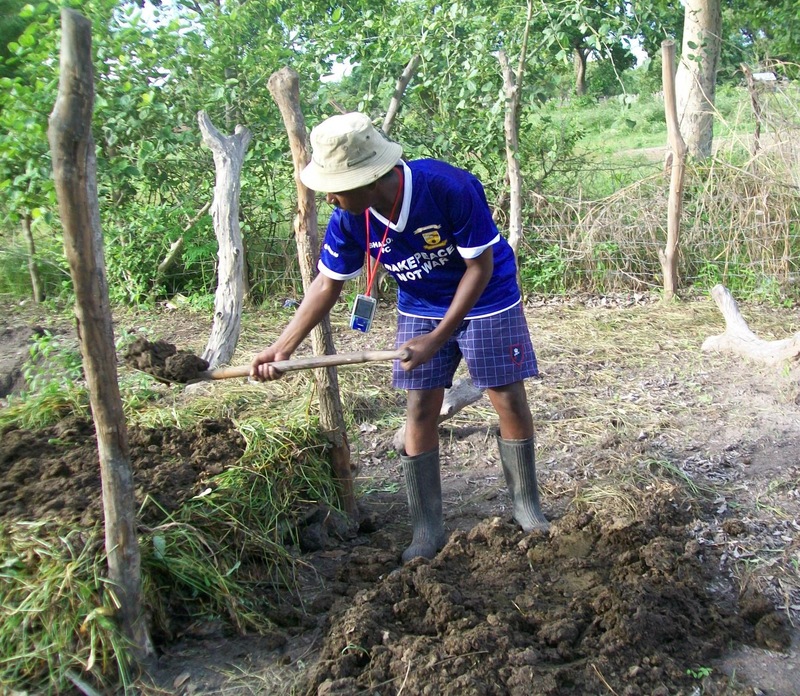 The farming approach was new to all the trainees, but was welcomed by many of them. I look forward to see how they are going to implement it. 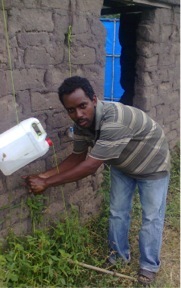 In the training we had a man who was, in the beginning, asking us to provide them with a well, water pump and a water tank so that they can make vegetable gardens using irrigation. But later as we were coming towards the end of the training he said, “I was asking you to bring us water pump and water tank. But I have understood that we can start with what we have. Thank you for encouraging us in that way. You also taught us the word of God, and that convinced me to change my wrong ways.” This man actually went ahead confessing some of his wrongdoings in the class. 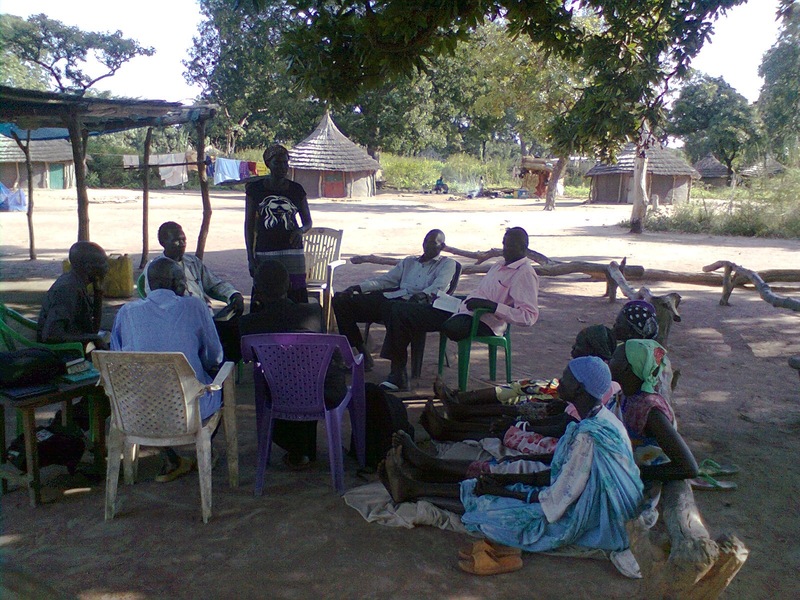 Apart from FGW trainings in the past six months I was also able to do Community Health Evangelism trainings along with other colleagues and friends (CHE TOT4 in Tonj; CHE TOT3 and TOT4 in East Rumbek County (ERC)). CHE had been a great instrument in the process of transformation of the communities spiritually and physically. Let me share one example here. 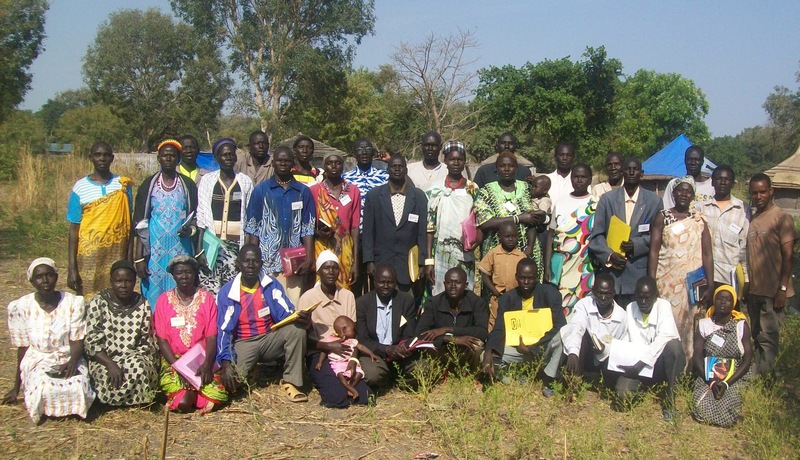 We have a CHE team of five members from a community called Akot, some 20 kilometres from where I live. When they finished TOT 3 early in December last year they planned to mobilize other church people and pastors to evangelize in their community. As a result they formed four groups of evangelism. God gave them great favour and they were able to lead 302 people to Jesus. All of these are now baptized. Out of these 4 were chiefs, and 10 were cattle keepers who are policing the community. Encouraged by this the team has the ambition to take the gospel to everybody in their area. 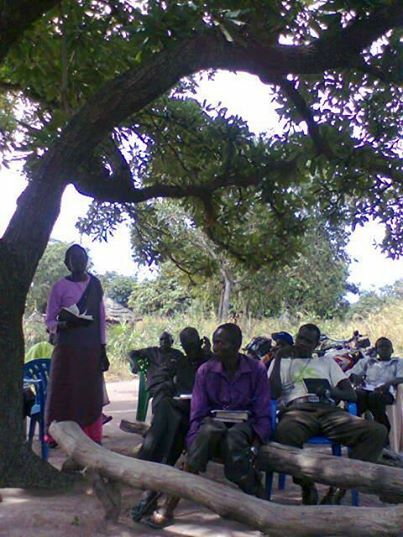 In addition, along with my friend Nicola and two South Sudanese pastors we conducted a HIV/AIDS and Christian Family workshop in Rumbek, the capital for Lakes State. 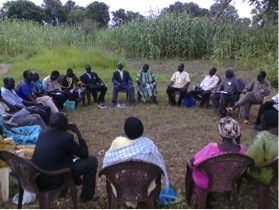 The participants were pastors and other church leaders from the ECSS church, Diocese of Rumbek. 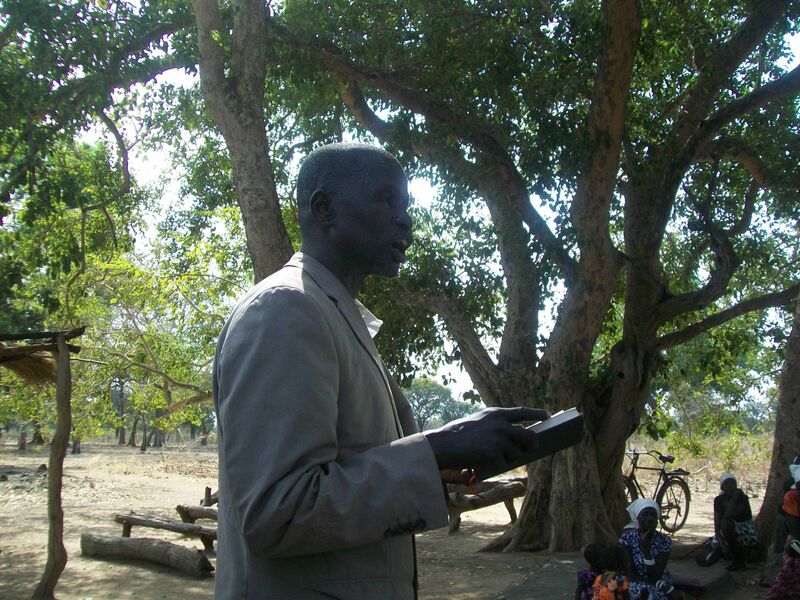 Pastors Peter and Josph are South Sudanese pastors from the ECSS church, the diocese of Akot, where I am ministering. They have gone through CHE, STS (Simply The Story – an oral bible study approach), and FGW trainings. I had been spending a lot of time with them – helping them to develop as trainers in CHE, STS, and FGW. They are doing very well! In the 4th quarter of last year I received a phone call from a pastor from a neighboring community. 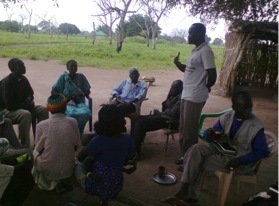 He met one of the pastors who were trained with us in bible storytelling – STS style. He wanted to learn that way, and the pastor from our area gave him my phone number. The story is long. Any way finally I went with my friend Joseph and spent with them four days and conducted two days’ training on bible storytelling. 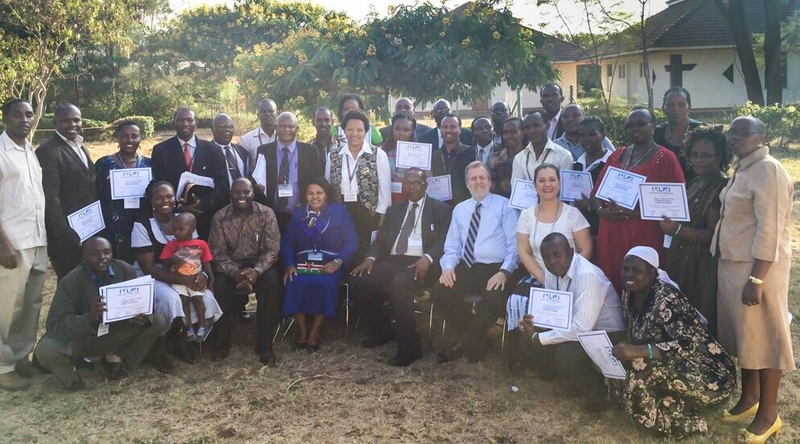 We had 17 pastors in attendance on the first day, and 14 on the second day. This was a rival community which often clashes with the community I live with. It was great experience! I look forward for more training with these pastors. As a person needs to sharpen his spear continuously what you were teaching us in these two days was like sharpening our spiritual spear, please continue coming to us and help us sharpen our spiritual spears. The way you taught us has began to transform us and we are sure it is going to transform our families and churches. Our preaching will change beginning this Sunday, which is tomorrow. I have never tasted the sweetness of God’s word like this in my life. We are ready to teach the stories as we keep them in our hearts. I am a widow, and I was weak when I came to this training. But when I learned about the widow who came to Elisha for assistance I am really touched and received power. I am now very happy. Sometimes as pastors we become uncomfortable since the people take it personal and think negatively towards us whenever we address some issues. But now we will be free from this. Because if we use the way you had been teaching us they will discover the truth themselves. It will be not us but the bible stories talking to them. This method will help people to understand God’s word easily. Today I feel as if my spiritual spear is sharpened. In this area we have 70 pastors. With time we want all of them be involved in such training. Since the rainy season ended it had not rained and when we finished our training today you have seen how God blessed us with rain. That confirms to us that you were sent by God. Still on STS … during this time I also did two Bible Storytelling trainings with my friend Joseph, each one-day long. This approach of sharing the word of God is growing fast in our area. Apart from the one-day trainings we also did a training of 2 days for 11 pastors at my place. We will do more training with this smaller group while continuing with the one-day trainings that we had been doing every month. Joseph and Peter had been doing the one-day trainings even in my absence. 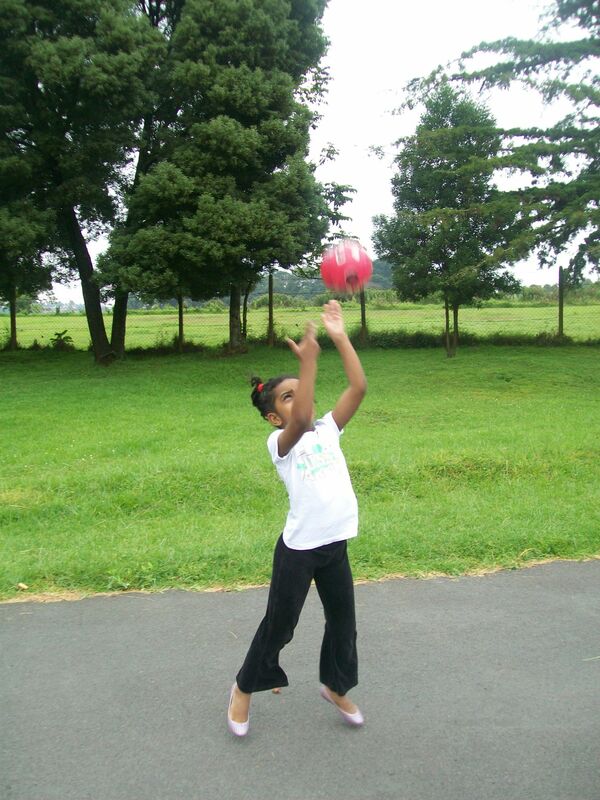 In January 2012 my boss, Joy Phillips, sent me to a training in Nairobi. That training happened to be the Kairos Course, though our plan was for a different training. The Kairos Course is a condensed course on Christian missions. It was my very first formal training on missions. After finding the course I took several months to read and digest the written content as well as study other materials on Christian missions. 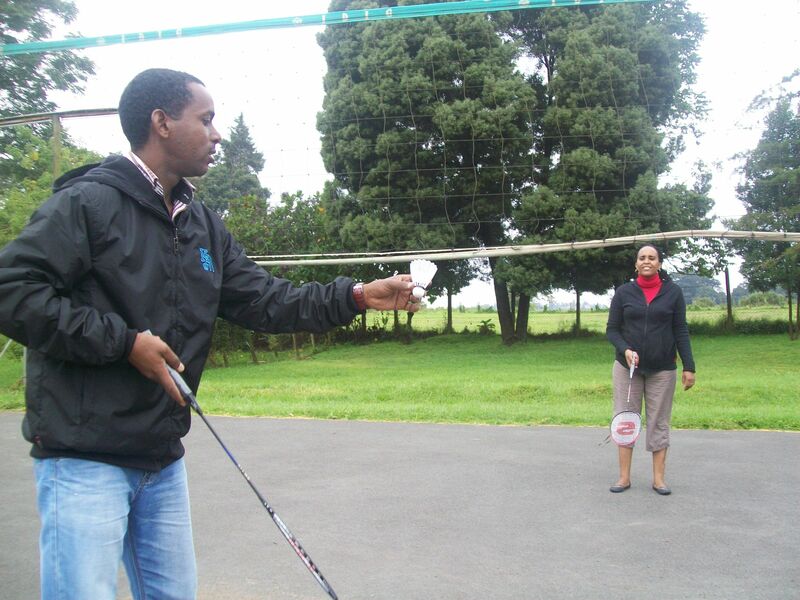 During the training I saw the need for the Eritrean Churches embrace a missions movement. So far I had opportunities to do two trainings on missions with an Eritrean bible school, and another training with the Eritrean Church in Juba. I have a goal to get the Kairos Course translated into Tigrigna language. In the mean time I am working on an excerpt of the Kairos Reader that I hope to make available for readers before the end of this year. I thought my bowl had enough of movements. Yet there was this new movement coming in – The Leadership Movement. In the past I had been requested by four different churches in Sudan and South Sudan to train their leaders on leadership. But I thought I was not equipped enough to do that. Nevertheless these requests raised, in me, interested on leadership literature and trainings for myself. As a result I had engaged myself in reading on leadership in the past more than one year. Beyond that God worked through my boss Joy Phillips, Rev. John Kearns and Christ Harbor United Methodist Chucrh congregation to equip me further and make me ready to undertake such ministry opportunities that can accelerate the spread of the gospel. This was to be done by attending a national conference on leadership by International Leadership Institute (ILI). There was a lot of resistance from the devil to stop me from attending this conference, but God who highly values the prayers of his children made it possible for me to come to Nairobi and attend the conference. This conference presented great material on leadership. I am embracing this leadership movement too. 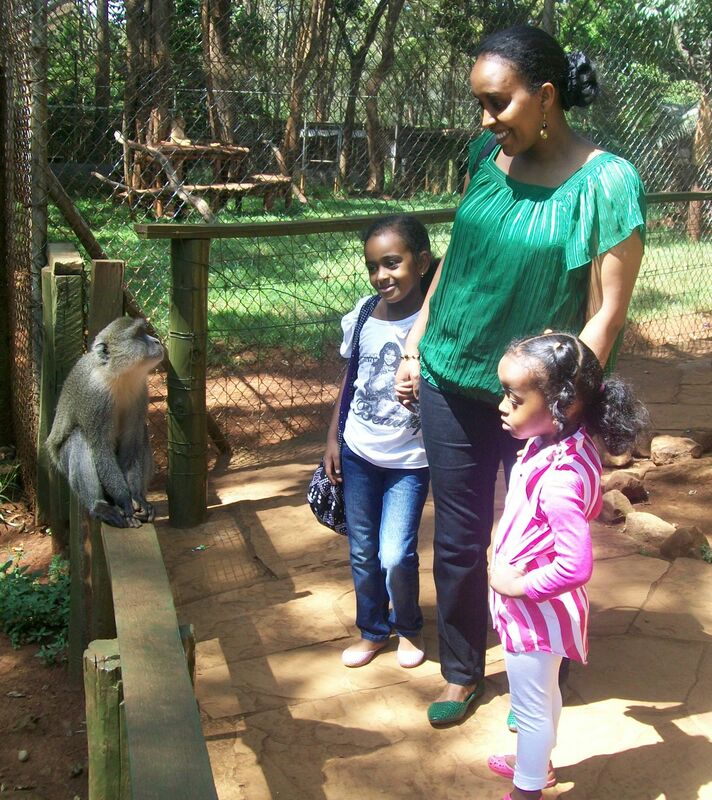 During this period I also had a great time with my family in Nairobi. This was the girls’ favourite animal in the zoo. Praise God for all these and other ministry opportunities that God enabled us to do as Mango Ministries! I am grateful for all of you who are involved in our ministry through your prayers, financial gifts, word’s of encouragement, etc. In May and June we have two STS trainings planned. I also will be visiting our CHE teams in the different villages and encourage them as they apply what they had been learning. The rains are coming soon. So I will also be coaching the teams as they practice FGW. Besides, I will keep telling God’s stories in the communities. Your prayers are highly appreciated! THE GREATEST REASON FOR A GREAT JOY. (As I sat to prayerfully write something to share with friends in this festive season God told me to use the following message that I had shared with friends, through email, before 7 years). King David had many things to say by his psalms. Out of the many things was the expression of his JOY. One would not question that David had enjoyed numerous events of joy. But his greatest event recorded in the bible is the event in which David brought the Ark of God from the house of Obed-edom into the city of David (2Sam. 6). On that special day king he made all majestic preparations, as a king would prepare for the greatest event in his life. Imagine how this great king would have prepared himself: how he dressed, how he paced, how he uttered his words,…..
As a king one would expect him to watch all the ceremonies proudly, from his podium. But it was not like that. He was the most active jubilant. Had David lived in this time and did the same thing as he did then, all the media in this world would have made their headlines of him saying, “Israeli king uncovers himself,” “King David turns psychotic,” “Israel’s euphoric king uncovers,” etc. It was a very uncommon to see a king the way David was seen. Michal, his wife, said what todays psychiatrists would have said. As a queen she was even unable to join the multitudes. She was ashamed for the king’s unusual character. But David’s state was on the other extreme. That day was the greatest day of joy in David’s life. He undermined all shyness and turned euphoric. But what was the main reason for such euphoria of David? The Ark of God had moved with Israel from place to place. But now an idea came to David – to bring the Arc of God to the city of David and HAVE GOD WITH HIM. When he saw himself successful, his joy overflowed and even never cared for his kingly coverings. To have GOD WITH YOU is a special experience that would never let one with his covers, and so was David. Dear friends, “What is the greatest reason for our great joy?” In this festive season I want to remind you of one thing. Do you remember the word Emmanuel? It means “GOD WITH US”. This is Jesus’ name (Matt. 1:23). Jesus is God with us. David was joyful because of having God with him in his city. When God became Emmanuel it was said to the shepherds, “…. I bring you GREAT NEWS of GREAT JOY which shall be to all the people.” (Luke 2: 10). Having Emmanuel brings great joy to all the people. The birth of Jesus ‘made God with us’ and like David to have Emmanuel is the greatest reason for the greatest joy that we can have. But one may not be experiencing great joy. He or she needs a reason to have great joy. Reason comes before joy because joy is a result. Now the reason is manifest. We have God with us. This brings great joy. Friends, to have great joy for the greatest reason is to have best thing in life. The one who has joy is healthy physically, mentally, and socially as well as spiritually. David had an event of joy. But in the New Covenant to have joy because of Emmanuel is forever. Now I want to remind you (in this Christmas and New Year event) that we need to maintain our greatest joy because of having God with us. We have Emmanuel. Joy! – Joy! – Joy! Always Joy! 1- Do you maintain great joy because of the greatest reason? 2- Do you help others to have great joy for the greatest reason? I invite you to maintain your great joy and call others to know the greatest reason and enjoy a great joy. When I was growing up I never thought that an adult person would lunch on a sandwich. I thought it was too small to bring one to satiety. Well, I never knew that you could make a sandwich as big as you wanted. 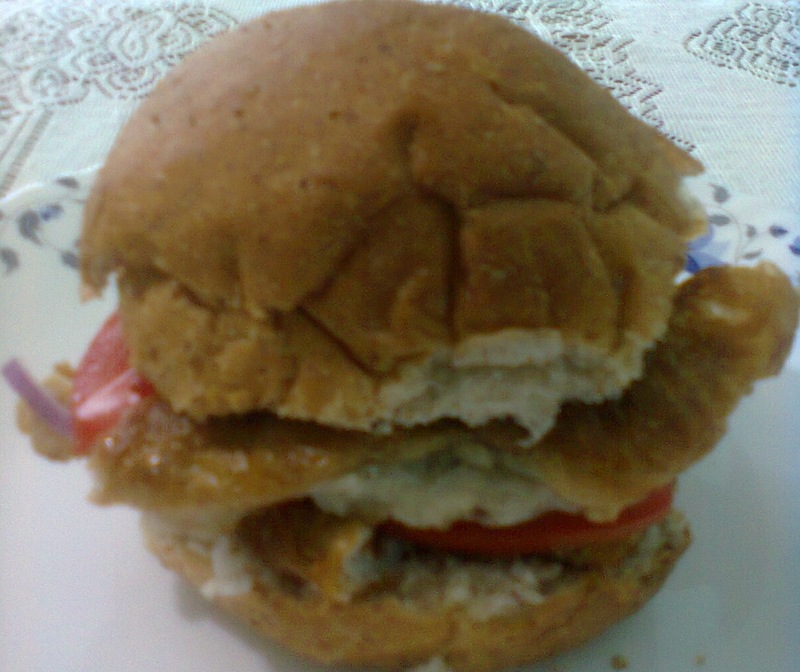 I only knew that sandwiches were made from the small bread – “Bani”, which weighed not more than 100 grams. I am not sure if the recipe of the old time sandwiches is still used in Eritrea. 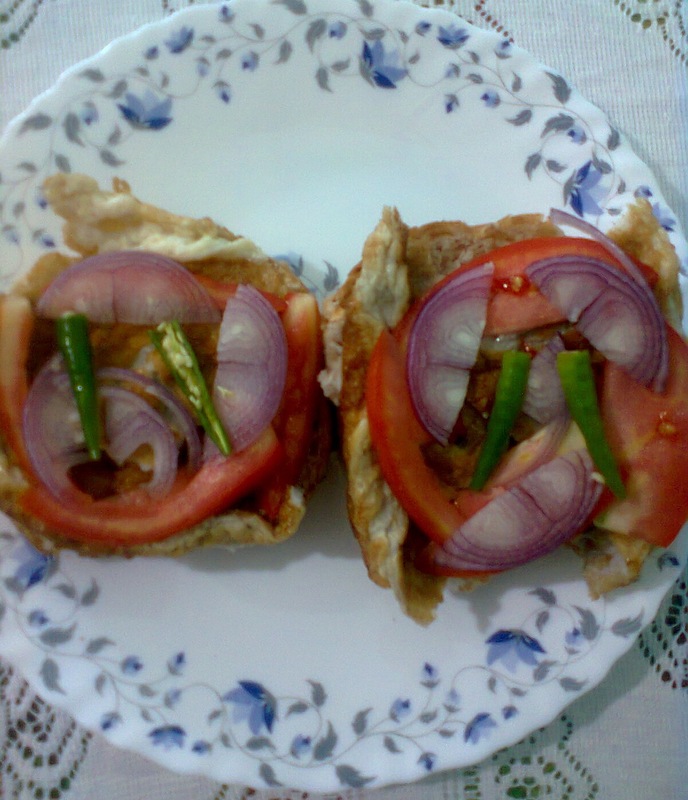 Bani, fried egg/s, tomato slices, green pepper slices and onion slices defined what sandwich meant to me, and I guess to many Eritreans of my age at that time. Writing about the Kairos Course and Farming God’s Way under the title of “Moving With The Movements – II” would have been the logical sequence of updating my blog. But this is not going to be the case. Instead I am going to sandwich another topic between “Moving With The Movements – I” and “Moving With The Movements – II”. Don’t you like sandwiches – even in blogs? When I was three and half years old and afterwards my older sister, Meaza, and I would sing in Blin language “Come sunshine, come! Go shade, go!” I have no memory if I sang so before that age. When the shade from clouds gives way and sunshine takes over we would shout for joy and make the valley echo our shout! We lived near a valley. We shouted, jumped, and danced to celebrate the victory of sunshine – our victory! The valley too celebrated with us. The Dinka Agar people, with whom I live, celebrate for so many reasons. A week can’t go without our village having some people celebrating. And almost all the celebrations are not done privately – is it easy to celebrate privately after all? They celebrate with family members, other relatives, neighbors, friends, and sometimes the whole village. Any given celebration wouldn’t miss foods, drinks, dances, and songs. I am listing few of the reasons for which they celebrate. In doing so I also introduce you to some of the Dinka Agar cultural expressions. Wedding: I can’t imagine of a marriage in which people wouldn’t celebrate – even among the gloomiest communities of the world – if they were any. My cultural background had made me to think of a wedding celebration in a certain way – an orderly way (without thinking who defined the “orderly way” for me). Several years ago I had heard the Eritrean playwright “Wedi Khwada” saying “Art has no rule”. If it is true, then the Dinka Agar are more artistic than Blin, Tigre or Tigrigna that I descended from biologically. Because they celebrate without much rules. I once celebrated a wedding of my friend’s uncle, in Dinka style, along with other villagers. As we crisscrossed the village, the rules dictating the way we celebrated were scanty. You just celebrate the way you want! Dress or undress the way you want as far as you don’t become completely naked. Put ashes on your face, naked chest (whether you are a man or woman), and limbs. Carry any flag you manage to get. Sing with people or sing on your own – a different song or even compose a new one. You can dance in a group or just isolate yourself and dance on your own. Just celebrate artistically – unlimited by rules – because a family member, a relative, a friend, a neighbor, or just a fellow villager is getting married! That is a big reason to celebrate! 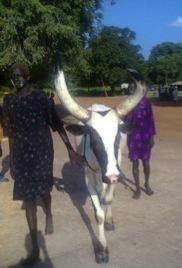 Oxen from the herd: Every member of Dinka cattle is a reason to celebrate. They have the best cows in the world! If you want to contest this come to Aduel and I will arrange a debate for you with the cattle keepers at a cattle camp. Some oxen and bulls make bigger reasons for celebration than others. The value of the oxen, bulls, and cows is defined primarily by their hair color and to a minimal extent by their horns. Their names are also defined in the same manner. 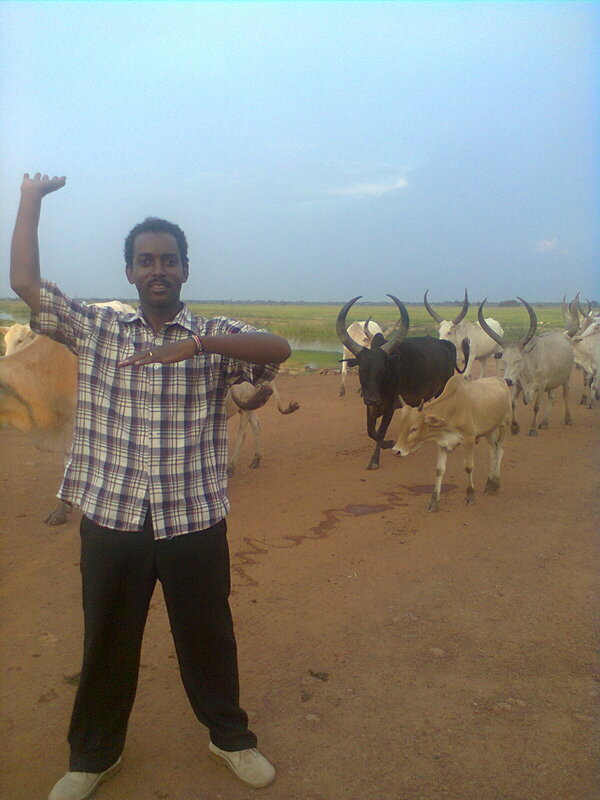 Besides, the Dinka Agar people share the same names with their animals. A man’s name can be Mayom, and I can name my bull to be Mayom, and still call my male dog Mayom. Almost on daily basis I see people celebrating their cattle. But let me share about two types of oxen. One day I was visiting one of the nearby villages. There I found people celebrating. Because a certain man managed to own a Makur ox, pictured below. 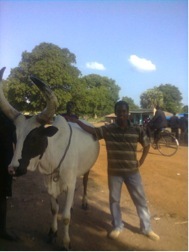 Makur was bought in exchange of 20 cows. 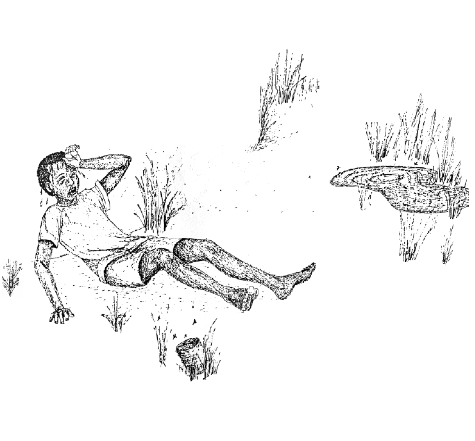 And to celebrate the inclusion of Makur to the family 2 cows, 3 sheep were slaughtered. People ate and drunk. Sung and danced. A great celebration was done because of Makur and the man who bought it. There are many celebrations that take place in the villages either due to Makurs or other colored oxen. 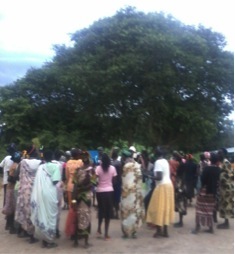 Menarche: A girl’s menarche is another reason for celebration for the Dinka Agar. 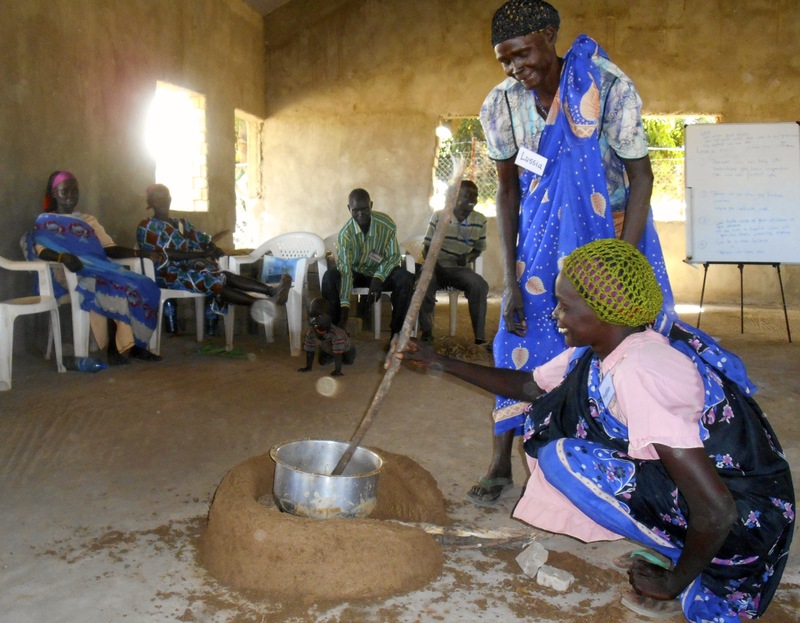 Girls are source of income for the Dinka in general and much more for the Dinka Agar! For a girl to get married her in-laws have to pay several cows to her family. Some pay 40 cows, others pay 100 or 150 or 200 or anything in between these or above. 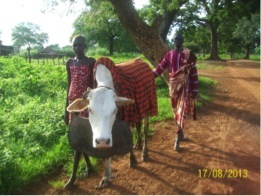 Under normal circumstances paying below 40 cows is not common among the Dinka Agar of East Rumbek County. The cows paid by the in-laws are distributed among the girl’s “family”. Her father, brothers, uncles, grandfather – all are her family. 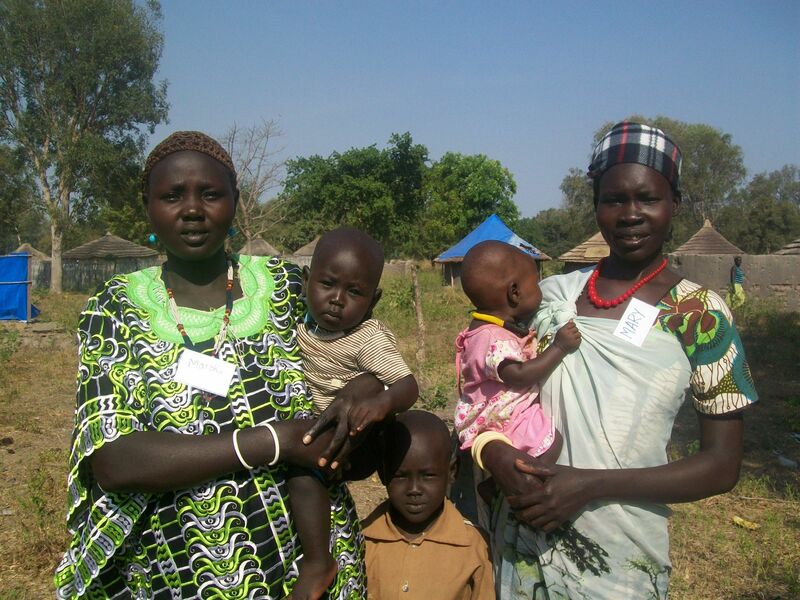 The Dinka are polygamous community. So can you imagine how many brothers and uncles a girl can have? All receive their shares. The girl is expensive if she is beautiful, educated, and if she has bigger family. The cows collected from the in-laws are then used to get wife or wives for the men in the “family”. So the Dinka Agar see a very good reason to celebrate their daughters’ menarche. They know that their daughter is soon going to bring them a lot of cows. They call this celebration Kuac Nya. (C is pronounced Ch in Dinka). The family of the girl prepares food and drinks; and the relatives, friends, and fellow villagers (including Adhanom, if invited) celebrate with the family by eating, drinking, dancing, singing, and congratulating the family and the girl. 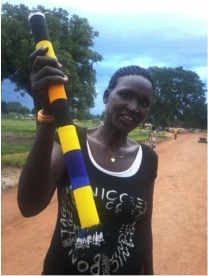 Bead-decorated stick: Another reason for celebration is if a woman, for the first time, owns a stick, decorated by beads. This is called “Lec”. (C is pronounced Ch in Dinka). One of the women in my neighborhood owned such a stick recently. Then made a celebration by slaughtering two cows and two goats. Lots of food and drinks were provided, and people ate and drunk, sung and danced – not only at the woman’s place, but all over the village. 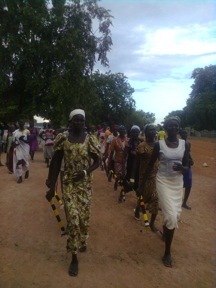 The reasons mentioned above and many others make the Dinka Agar villages to be full of celebrations in spite of the threats of insecurity. At a certain point, while I was in Aduel thinking about such Dinka celebrations, I felt as if God was asking me “What do you celebrate?” I thought I grew up celebrating since my early childhood as I hinted earlier. But when I began to seriously think of what I celebrate, truly I was challenged. In the Old Testament we read of God wanting His people to have special days to celebrate – several times a year for given reasons. The context of celebration was changed in the New Testament. But still we are expected to celebrate during this New Testament time. Well, celebration will continue even in heaven! So I can think of my celebrations as a Christian here on earth rehearsals for the forthcoming, non-stop celebration in heaven. Since these thought processes began in me, I became intentional about celebrating for the gifts of God in my life, family, ministry, colleagues, friends, supporters, etc. What uncountable reasons I have to celebrate for! In Mango Ministries we have many reasons to celebrate. If you read the blog updates of my boss, Joy Phillips, you will realize this. Check http://joyphillips.blogspot.com. In the past few months I was able to continue build and developing relationships with the people in my village, Aduel, and other neighboring villages. God is giving me many opportunities to share his love though his Word. Opportunities to share where people celebrate, opportunities to share where people mourn, socialize, gather, worship, play, trade, travel, etc. Indeed God is worthy of celebration for all the opportunities he is giving me. I just needed to open my spiritual eyes to see the opportunities to give me a ride every day into the people’s hearts! I can’t be happier than being in a ministry that I wished 12 years ago! The resurrected Jesus didn’t need the conventional door or window to enter into the house where his disciples were. The same Jesus is the one using his servants to minister into people’s lives – for He is the same yesterday, today, and tomorrow! In ERC we have people who came to Jesus though the Community Health Evangelism (CHE), and encouraging and mentoring the pastors and listen to the reports of what is happening in the communities through the CHE ministry is a great blessing. I celebrate God for that. CHE is making some spiritual impact in the lives of the people. But not only that! Commonly people don’t have latrines. They just go the bushes nearby. To wash hands water is poured in a basin and every body washes his/her hands inside the basin. If there are many people to wash, the washing of hands turns to be wetting hands with dirt! But people didn’t see it that way. I have seen these things changing in the areas where CHE ministry is extended. MM is not the only one trying to teach people physically and spiritually, there are others too. But I feel glad that we are part of this transformation process. The CHE ministry is a good reason for MM and WGM at large, as well as friends and supporters of MM to celebrate! Besides CHE, the oral approach of learning from Bible stories is also growing in ERC. Every month there is a one day training on this approach, and the approach has been accepted by the people very well. 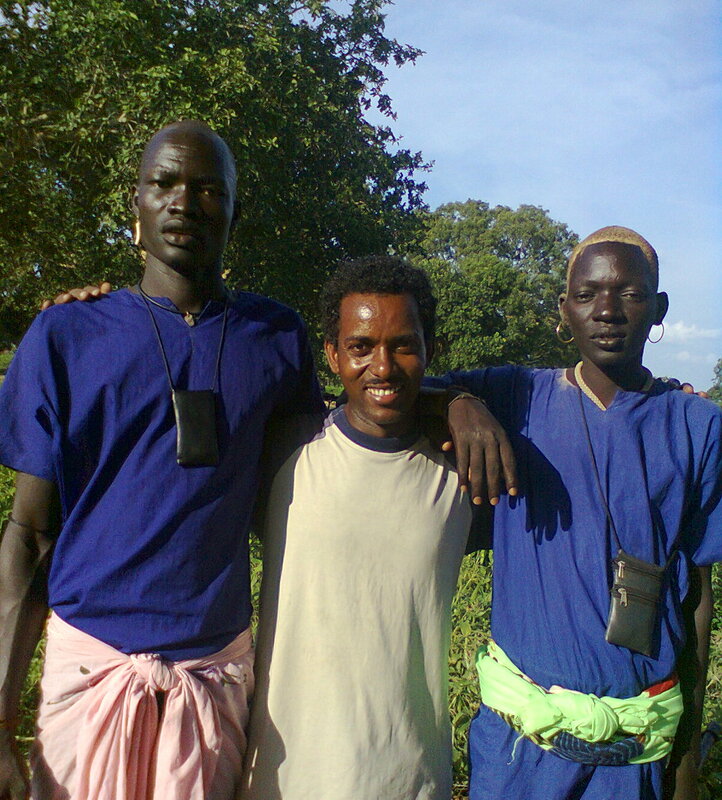 Dinka is traditionally an oral culture. They are storytellers, and this approach fits into their culture very well. Thank God for this tool of ministry! After spending valuable time in Aduel, I came to Juba and had the opportunity to preach at Gospel Light Fellowship Church. You can read the sermon (in Tigrigna) from the church’s website http://www.brhanwongel.org/index.php/sermons-education/sbket/43-abitelieko. I also had a very good visit to some projects in Uganda and Kenya to discover what I can learn from them and apply in South Sudan. I had a great time with my family in Nairobi, and I am now heading back to South Sudan where I am going to have busy schedule doing trainings until mid December. Praise God! Dear friends, “What do you celebrate?” Celebrating for what God has done and is doing in your life, family, ministry, colleagues, friends, nation, etc does not mean everything is going smooth. 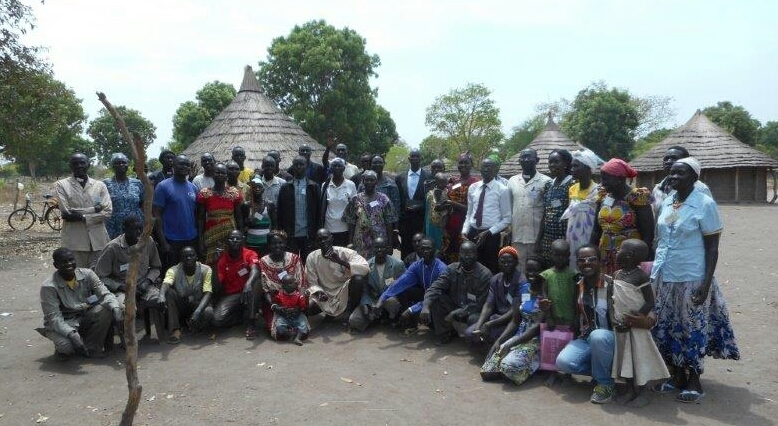 The Dinka celebrate amidst difficulties and insecurity. The Israelites were celebrating while in the wilderness, and while in captivity. What do you celebrate? For sure you have several reasons to celebrate for. To the list of your reasons you can also add the reason of what God is doing with Mango Ministries if you have not already added it. Peace and security in ERC and the whole of South Sudan. For our forthcoming CHE trainings (TOT 3 in ERC & TOT 4 in Tonj). For the people getting trained in CHE and bible storytelling to be able to use and share what they learned. For God’s guidance as I intend to show the Jesus film and the God’s Story DVD to more people in ERC. For Farming God’s Way training in Abinajok. 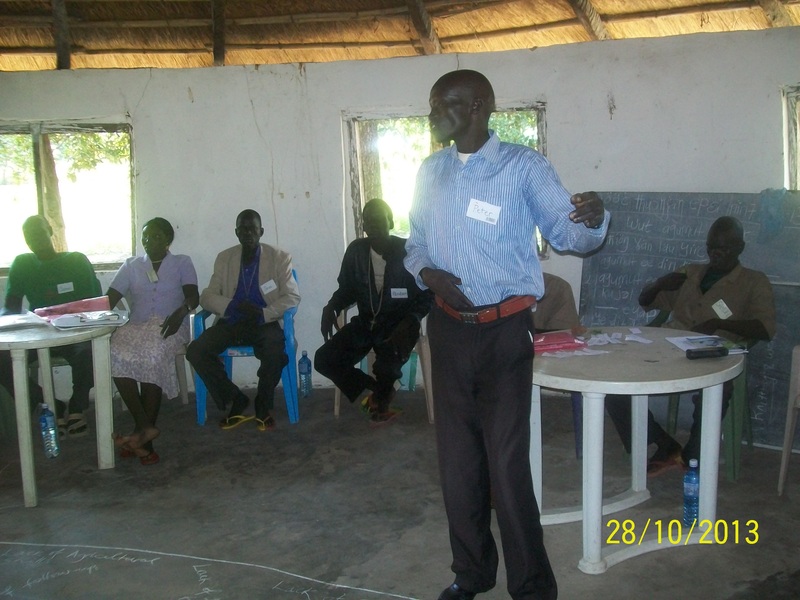 For leadership training with pastors from Rumbek. For several oral bible study trainings in ERC. For safety of my colleagues, the trainees and myself as we travel from place to place. For Helen as she does her hospital attachment for Kenyan Nurse’s License requirement. She needs strength as she commutes daily for busy assignments. For our family’s financial support. I want to tell you that September was a special month for our family. In September we have two birthdays. 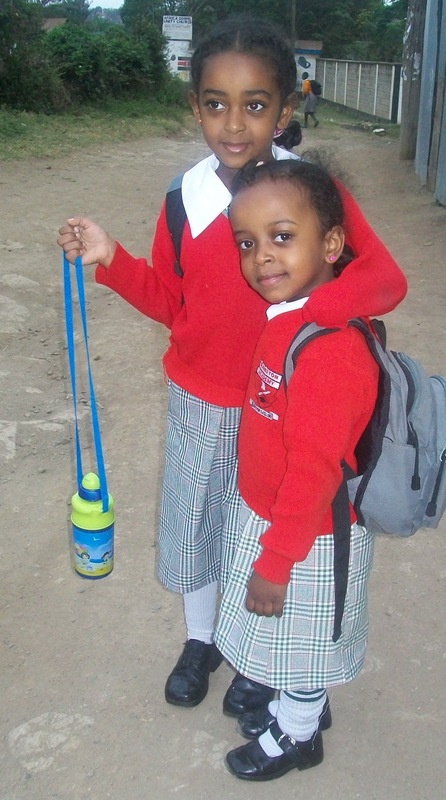 Adhanom and Fasika. 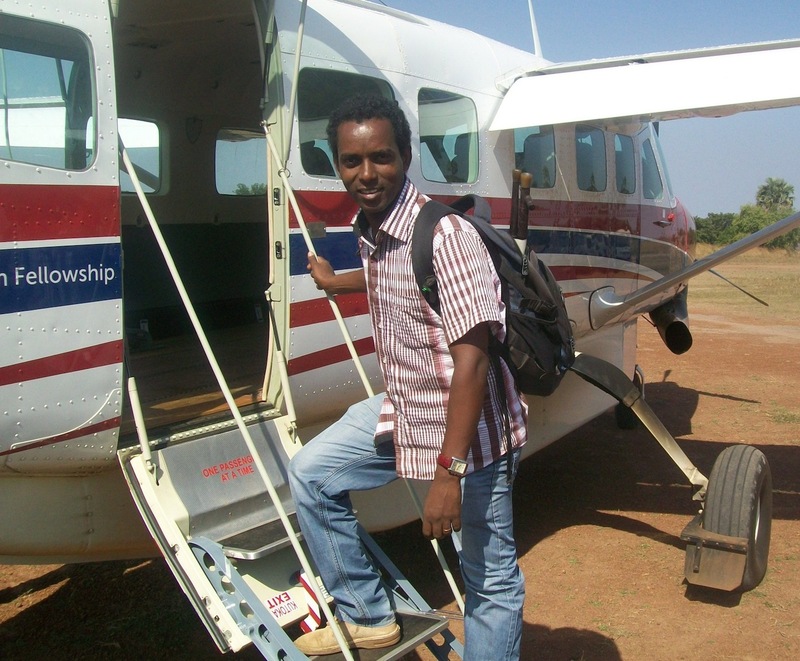 It is also the month in which I joined MM and travelled to South Sudan. Now three years! Praise God! Helen started her attachment after in September. Now she has three weeks. Well it was also an opportunity for me to do more housework. Great reasons to celebrate! Lastly I would like to invite you to take an opportunity in participating with our family in the ministry through your financial support. If God is leading you to do so please use the link www.wgm.org/hidug. If you want to know more areas in which you can participate by your gifts please visit Joy’s blog that I have given above. When I was in school, as young boy I was told to believe that “everything in the universe moves.” In the beginning I only believed that for the science class, but with time I realized that the statement had crept in and fastened itself deep into my thought apparatus. Yet, “Well, that statement should be false then.” I thought at a later time. “Why is this belief not moving away from me if everything in the universe moves?” I continued thinking without realizing how it kept moving from the person who stated it for the first time to reach a distance in space and time as far as my mind, which used to believe that “earth didn’t move”. Not only that, several occasions – even before it secured embedment in my mind – it moved from me to others. Everything in the universe moves! 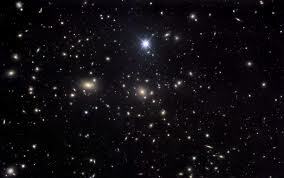 Furthermore, I would like to say, “Every thing in the universe, and what is contained in ‘the everything’ moves. The latter detail is not from my science class. But I hear my mind thinking that way. If this can be true I could shorten the statement as ‘everything moves’! Even Heaven and its dwellers – including God – move. These days I am reflecting on this “fact” of movement. I see myself as a result of movements – physically, spiritually, socially and mentally. Total immobility – be it voluntary or involuntary – of all of one’s elements, I am thinking, is one’s total mortality. In my last update I had admitted that, “in the absence of stories human beings would never become what we are today.” In this update I admit that in the absence of movements human beings wouldn’t exist at all. Existence calls for movement. What needs to exist needs movement. I don’t deny that, on the contrary, movements can also bring an end to existence – at least of form. Movement leads to vitality or mortality, to existence or non-existence. Without justifying my bias I will transiently be biased to talk about the movement/s that leads to vitality, existence. Again, I will be selective and talk about Christianity. If Christianity is to continue and even widen itself in existence it needs movements. The movements needed in one generation may not be needed as the same blue prints in another generation. Today in our generation one wouldn’t expect Pope Francis to go and toss his father’s possessions to the poor as St. Francis did (without his fathers consent). I tend to think that God has prescribed dispensations of contexts of movements for all generations. If so, any given movement in a given generation would be required to identify the context of movement suitable for that generation. Throughout the past 2000 years several movements of various contexts brought Christianity this far. But some movements, which failed to grasp the right context for their time, place and people may also have failed to bring Christianity this far. Today, we have several Christian movements striving to secure and enhance the vitality of Christianity. The ones that we in WGM’s Mango Ministries are moving with are: The Community Health Evangelism (CHE) movement, Simply The Story (STS), which is an Orality movement, the Farming God’s Way (FGW) movement, and the Kairos movement. Let me proceed to write briefly about how we are moving with these movements in MM. This is also called Community Health Empowerment or Community Health Education. This is a movement which uses a ministry model that integrates evangelism, discipleship, and church planting with community health and development to bring transformation in the lives of individuals and communities. 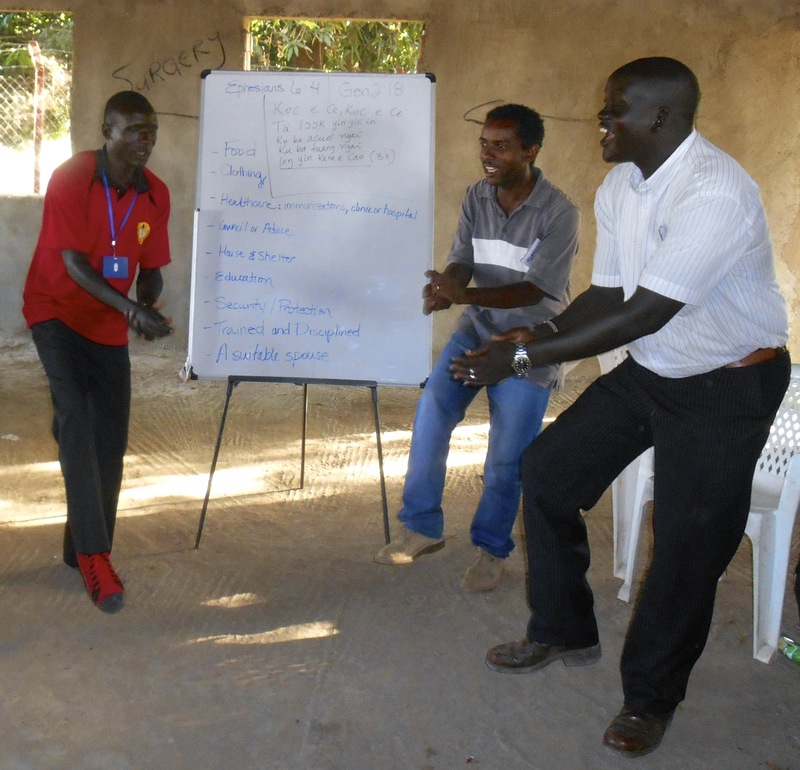 In Mango Ministries (MM), so far more than a hundred South Sudanese hailing from four states have had the opportunity to attend a CHE training ranging from CHE vision seminar to completion of four trainings of trainers. We praise God for these! 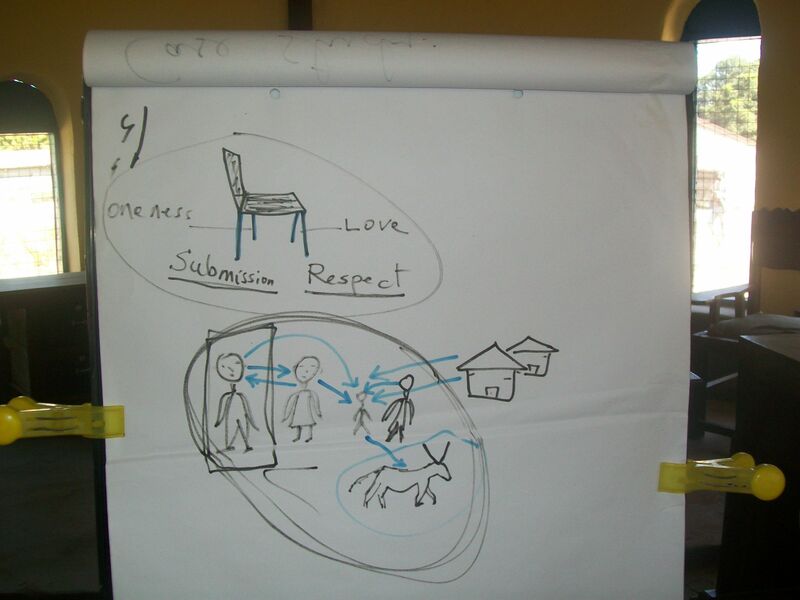 Our CHE facilitators train local people (currently church leaders) to be CHE trainers in their communities. 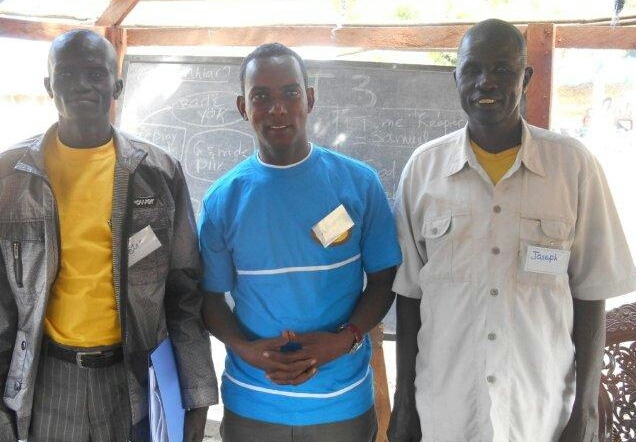 These local trainers then train a committee from the community. The committee, in consultation with the trainers, selects a group of people called Community Health Evangelizers/Educators (CHEs) to be trained by the trainers on spiritual and physical lessons. As they keep learning, the CHEs in turn make visits to their neighbors and share/teach them the physical and spiritual lessons they learned. The expectation from this ministry model is to see the spiritual and physical lessons disseminated in the community and help in the transformation of individuals and communities. This is a movement. Individuals … Communities … Nation. 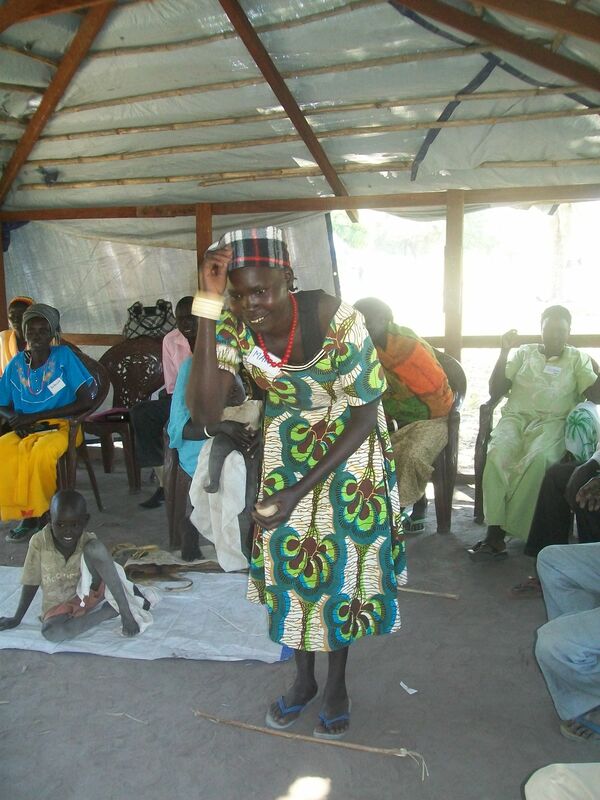 Jesus, for sure, wants to see transformed South Sudanese individuals, and communities. He wants to see the whole nation of South Sudan transformed. It is possible. A transformed individual can be instrumental in the transformation of other individuals, communities, nations, and even the world. In MM we want to see transformed South Sudanese transforming fellow South Sudanese and other nationalities. But Satan and his angels are against this movement of transformation! So, would you please join MM in praying for transformation through CHE? We are not calling you to labor in a barren field. It is a fertile field. Even though our CHE ministry is in its early stages of fruition, yet the early fruits are encouraging. I am an eyewitness to that. To know more about CHE you can check the CHE network website (http://www.chenetwork.org). If you have not read my last update “Building with Stories”, I encourage you to scroll down and read it to get the link between STS and me. STS is an inductive Bible study using oral style. A person using STS to learn biblical truths and also help others learn first identifies a Bible story, then learns it by heart, studies it, tells it without reading, and uses insightful questions to help others to find God’s treasures in it and make life applications. The Bible stories are the storehouse of God’s treasures for His children, and STS is a means of ferrying these treasures out of the store for use in day-to-day life. A testimony by Loren Cunningham (the founder of YWAM) in ‘Orality Breakouts’ reads, “The orality movement is a gift from God for the peoples of the world to become acquainted with God’s book. But it is also God’s story to lead each person to have a relationship with Him through Jesus Christ…”. This is true for STS, which is part of the orality movement. 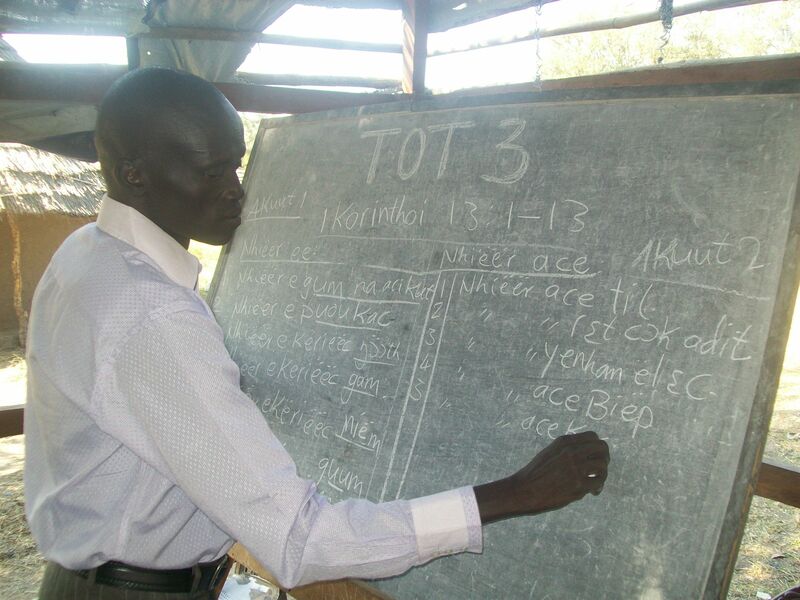 Since MM began using STS in East Rumbek County this oral style of learning God’s truths is beginning to become popular in the county. The word of God is beginning to have a wider presence among the people. The testimonies that are coming from the beginning until now are wonderful. I am a witness to this. “Our church in this area was founded mainly through relief work. People were coming to the church being motivated by the relief, which was given during the wartime. That was good, but it was not a firm foundation. But, now our church is getting the genuine foundation, which is the word of God”! These and other similar statements were made by different people in appreciation of the STS approach in the areas were we are using it. Praise God! You can also join usin praying for transformation through STS because Satan and his angels are also against this movement of transformation! To know more about STS you can check the STS website (http://simplythestory.org/oralbiblestories/). In my next update I will write about Farming God’s Way and Kairos movements.